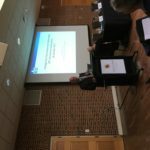 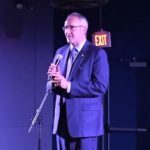 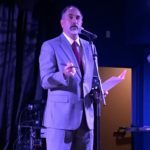 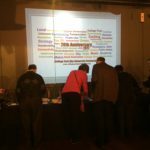 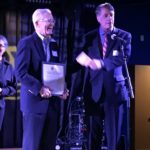 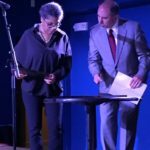 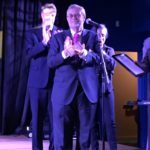 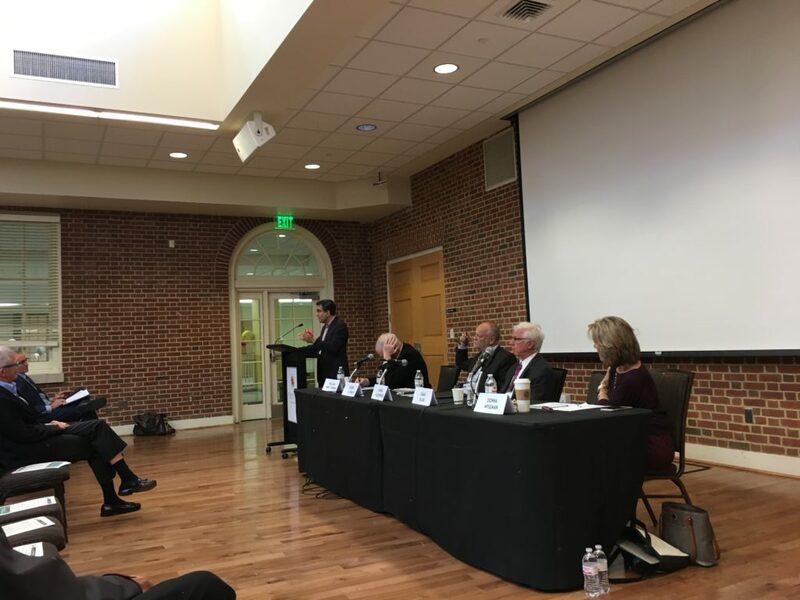 In October 2017, the College Park City-University Partnership celebrated its 20th Anniversary with two events — an academic forum followed by an evening reception. 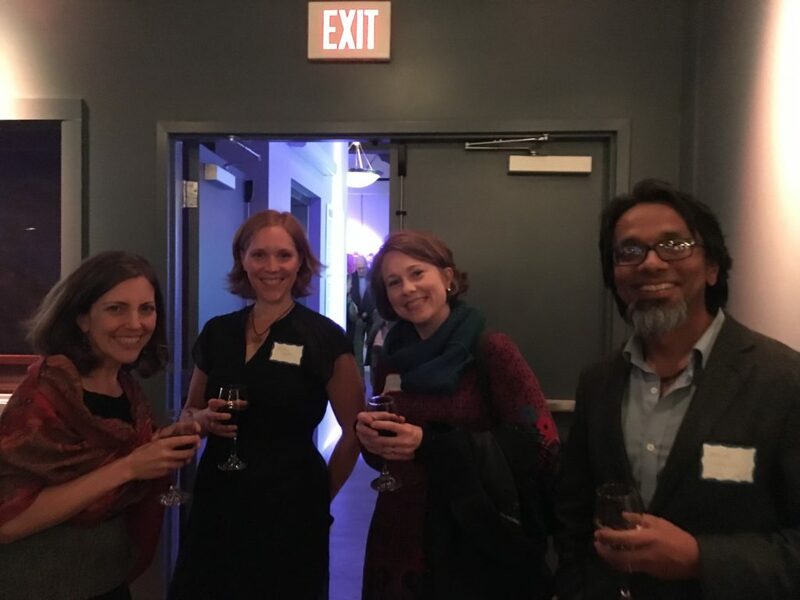 The goal: to celebrate our organization’s 20th anniversary and to think intellectually about our Partnership and how it can serve as a model for other university communities nationwide. 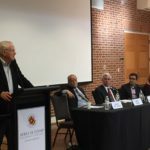 The academic forum featured former Governor Parris Glendening, Former USM Chancellor and UMD president in 1997 at the Partnership’s founding, Brit Kirwan, Omar Blaik, CEO of U3 Advisors and consultant to UMD and the Partnership, Donna Wiseman, current PGCPS Board of Education member and former UMD Dean of the College of Education and Gerrit J. Knaap, Executive Director of the UMD National Center for Smart Growth. 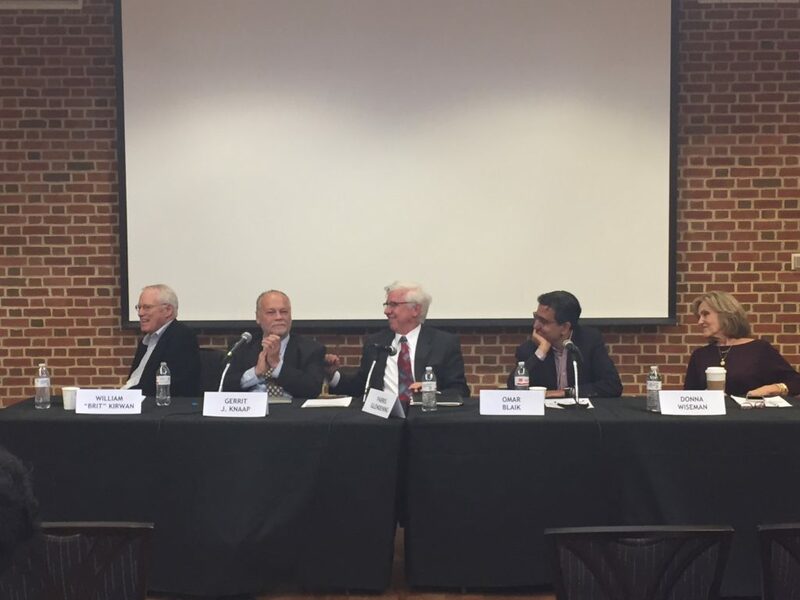 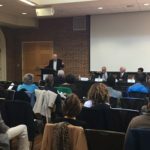 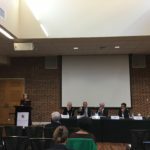 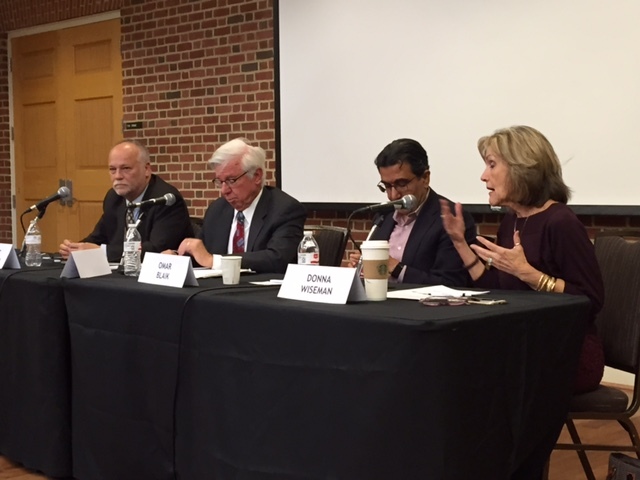 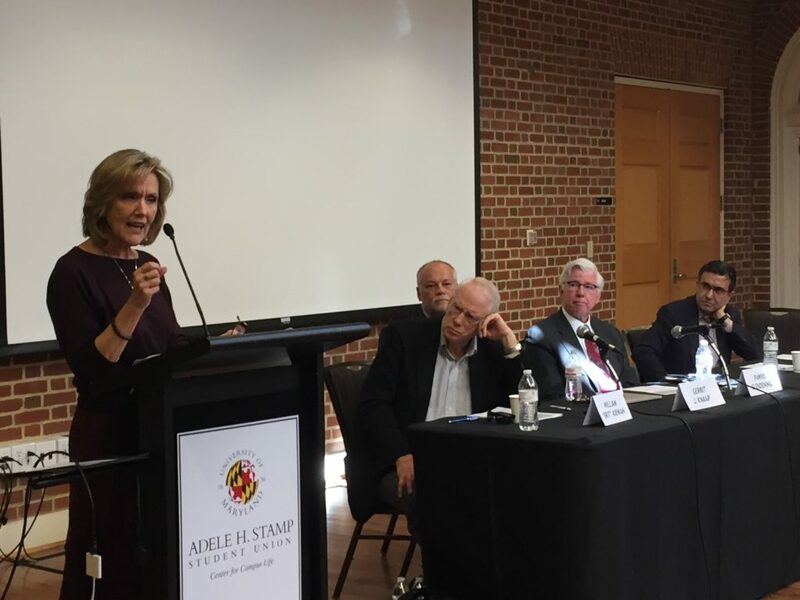 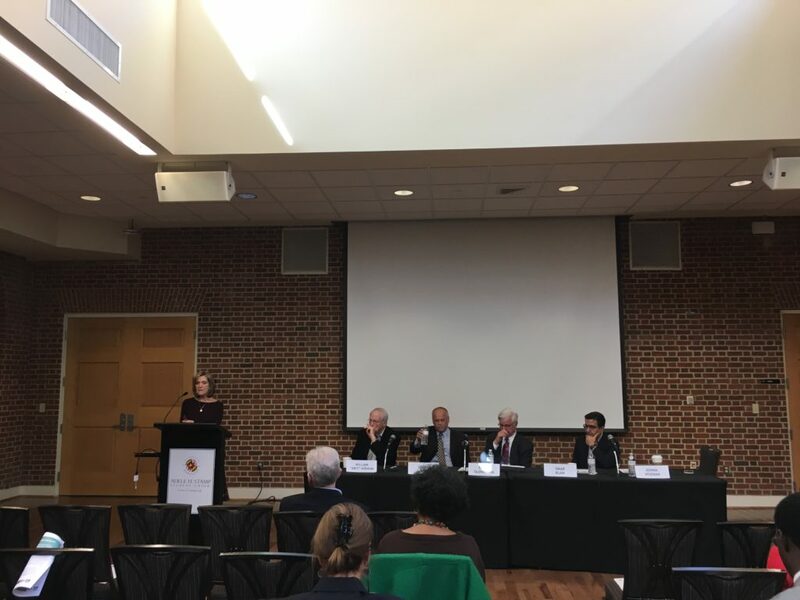 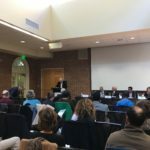 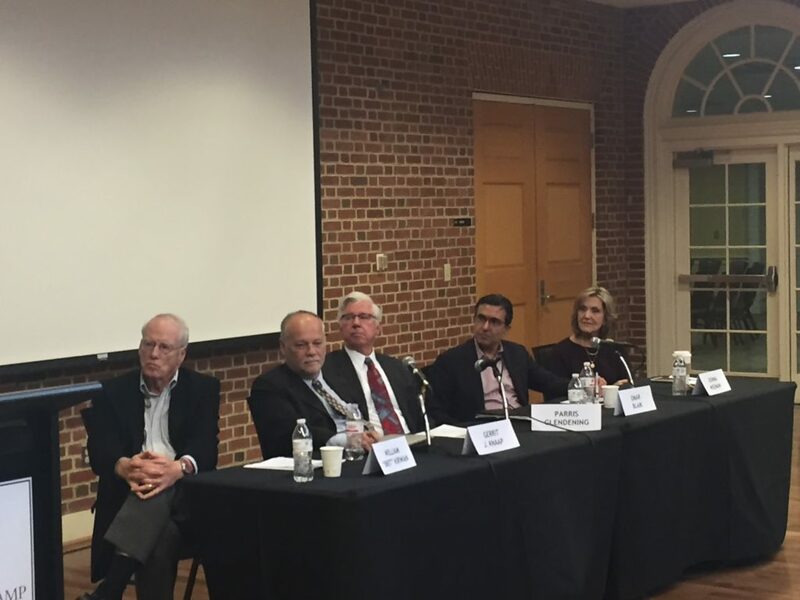 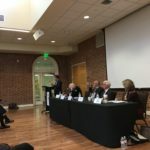 About 60 people attended the event, and panelists had a lively conversation about the College Park Partnership’s first 20 years, how city, university, county and state collaboration is creating a sustainable top-20 town and ways to continue our progress into the future. 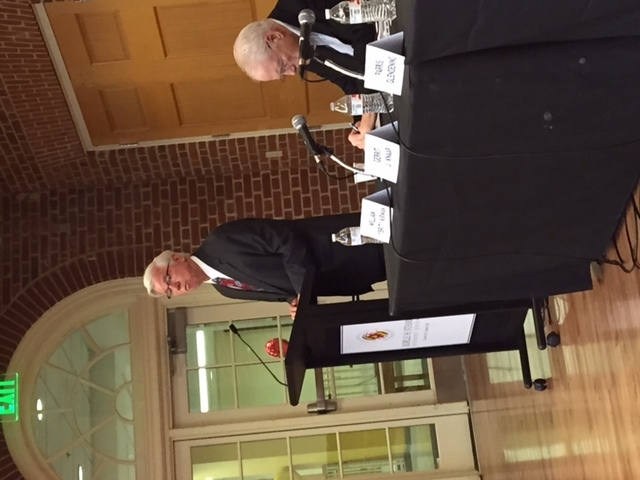 To watch the forum via YouTube CLICK HERE. 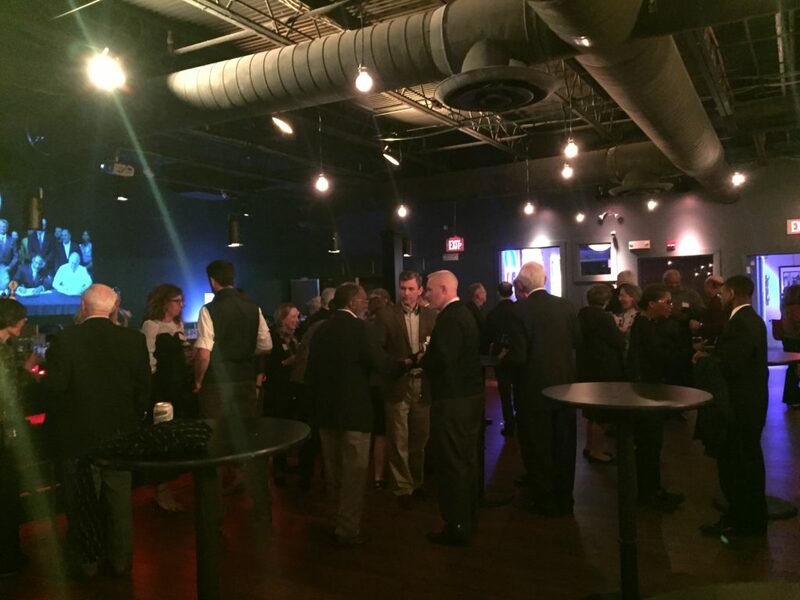 The evening reception was held to celebrate the Partnership’s many shared accomplishments and purpose. 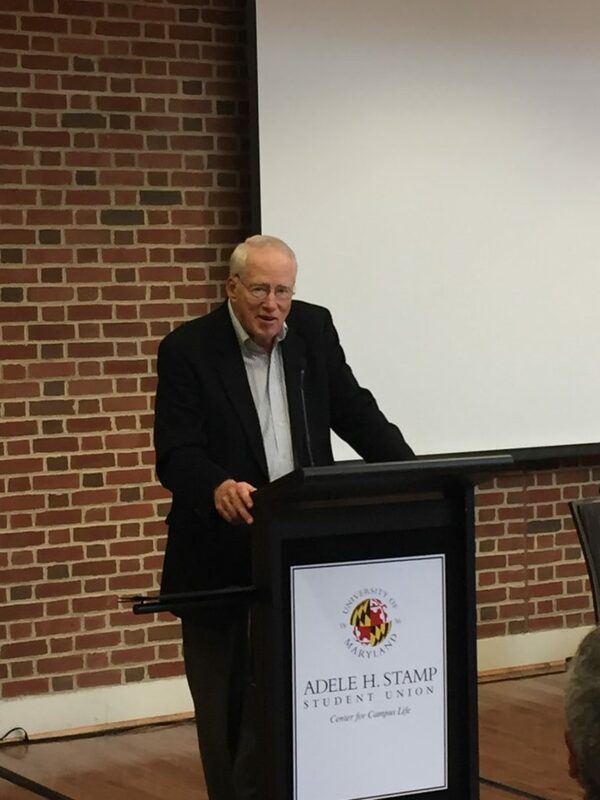 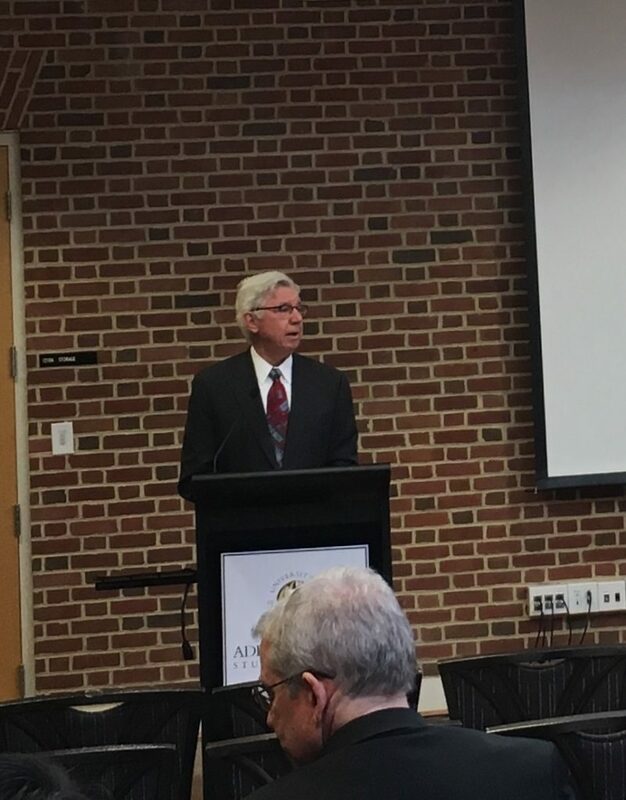 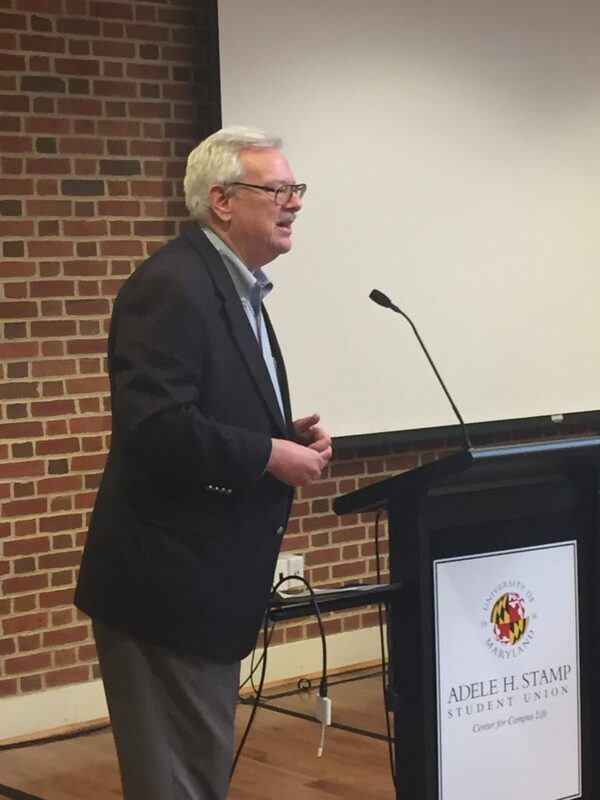 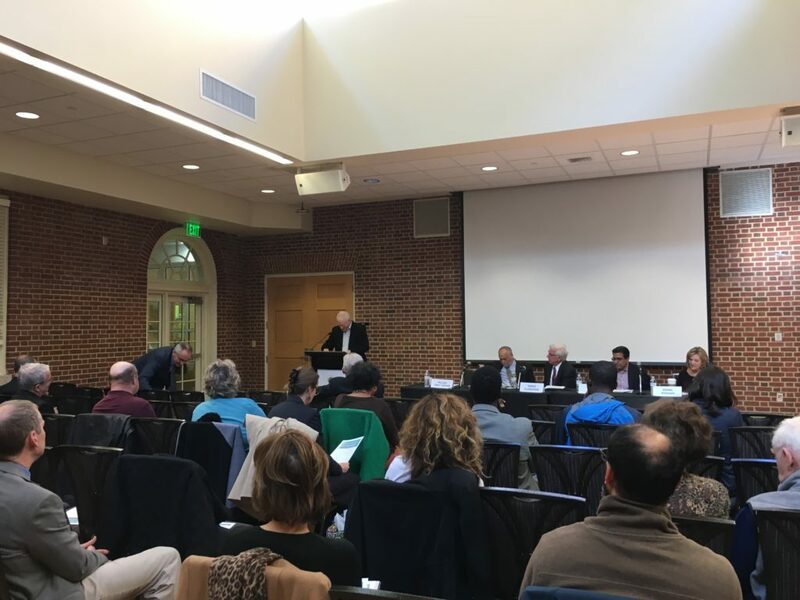 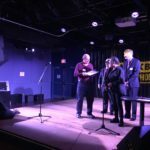 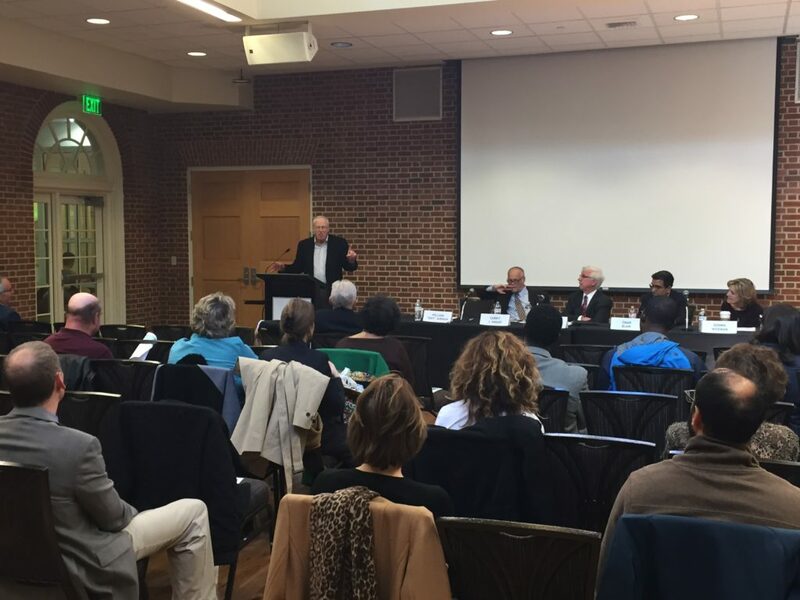 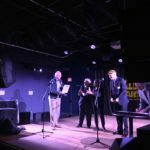 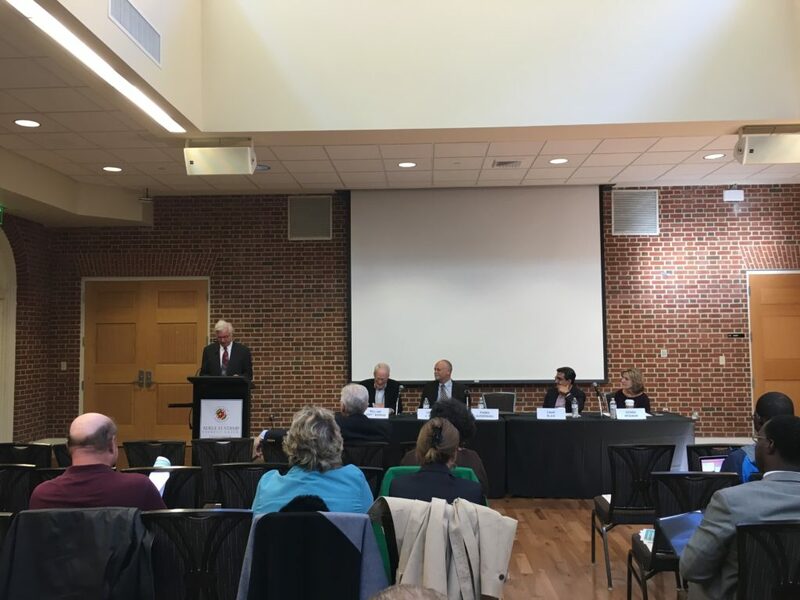 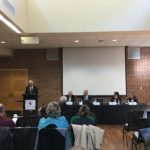 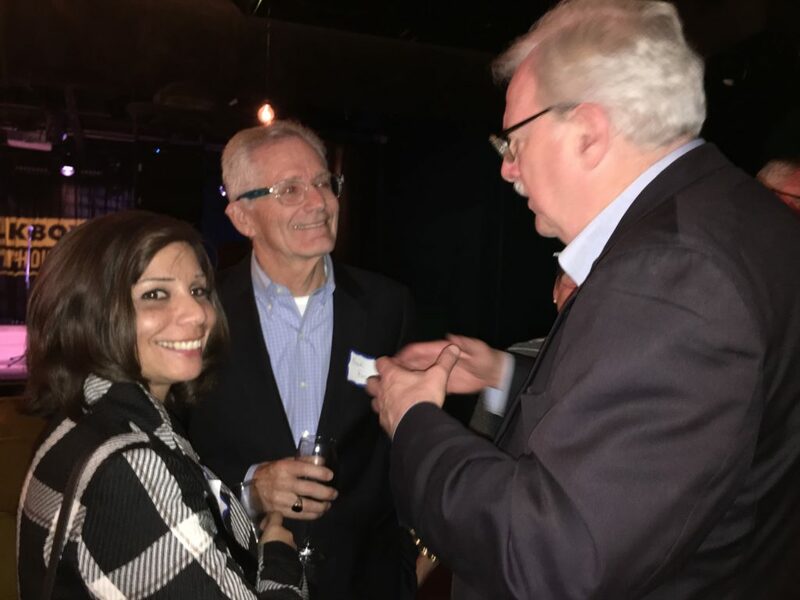 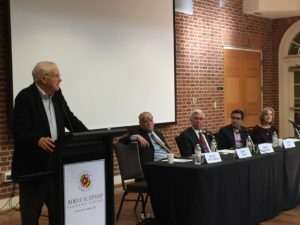 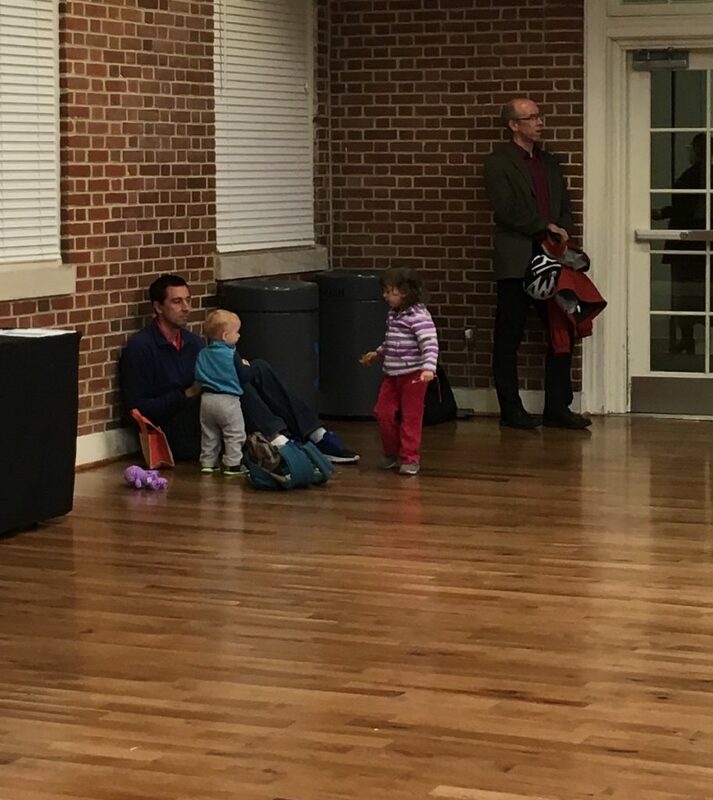 Over 95 people attended this event, including former Governor Parris Glendening, State Delegate Joseline Peña-Melnyk, District 3 County Councilmember Dannielle Glaros, and College Park Councilmembers. 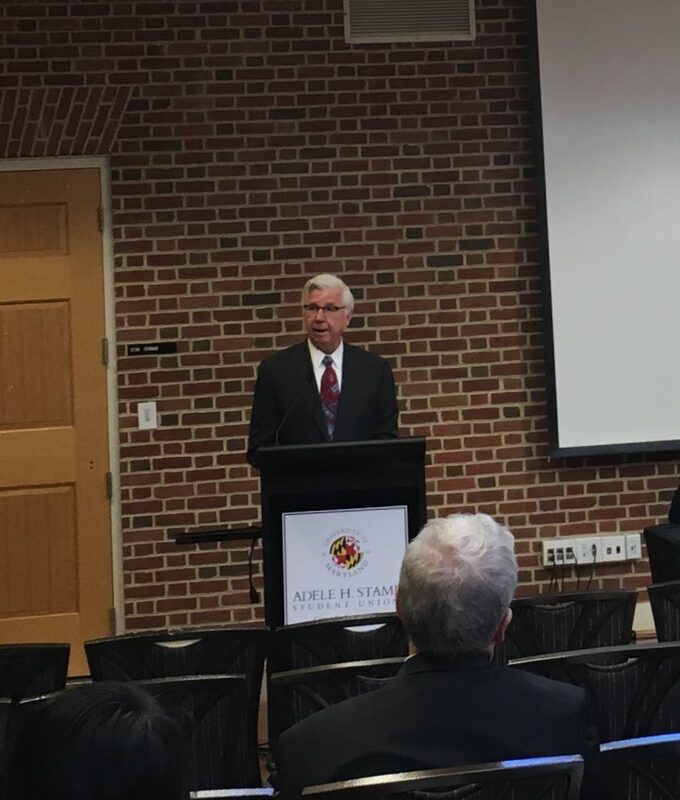 To kick off the event, Partnership Board Chair Sen. Jim Rosapepe and Partnership Vice-Chair Carlo Colella introduced UMD president Dr. Loh and Mayor Wojahn. 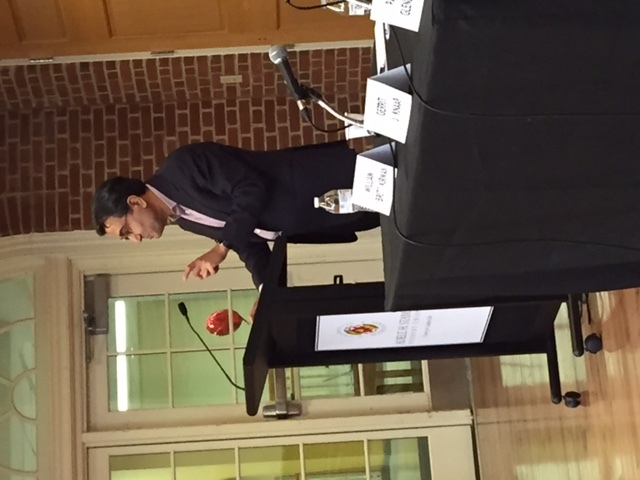 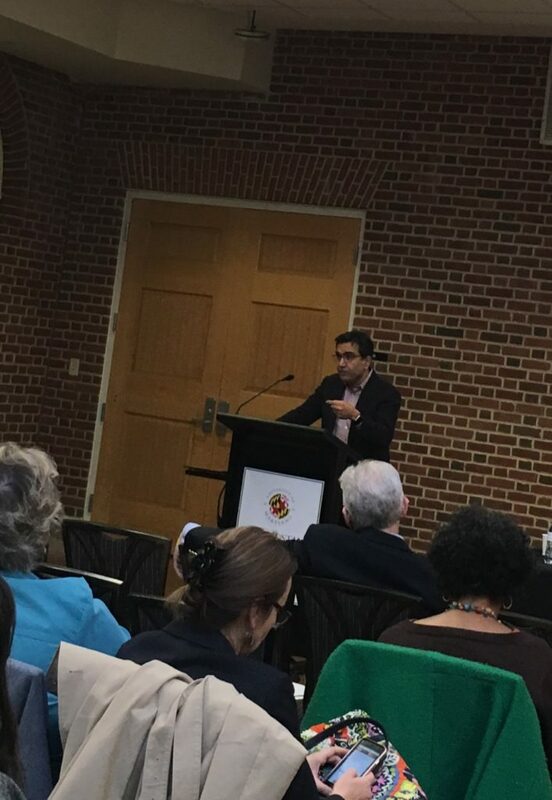 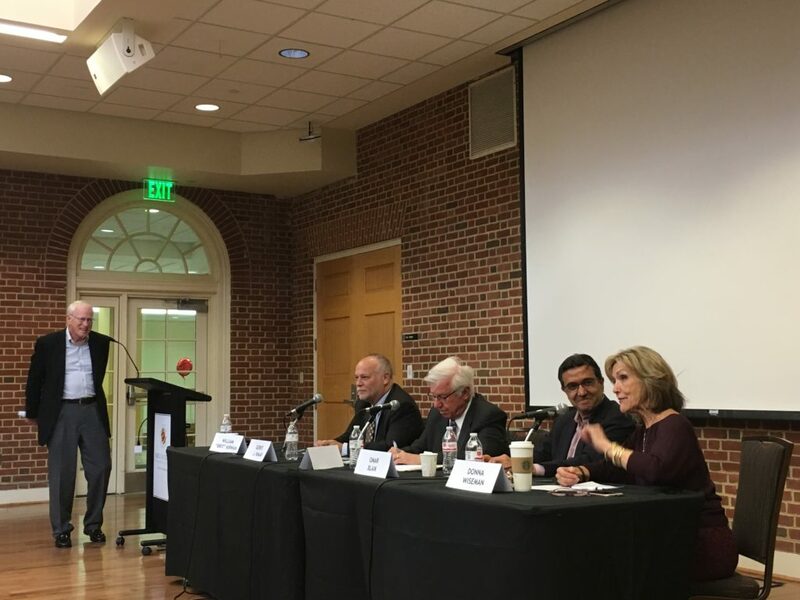 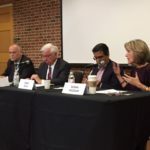 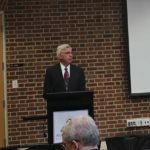 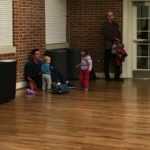 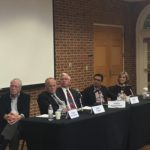 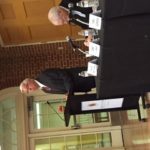 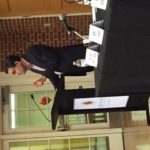 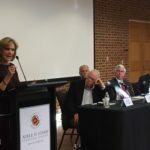 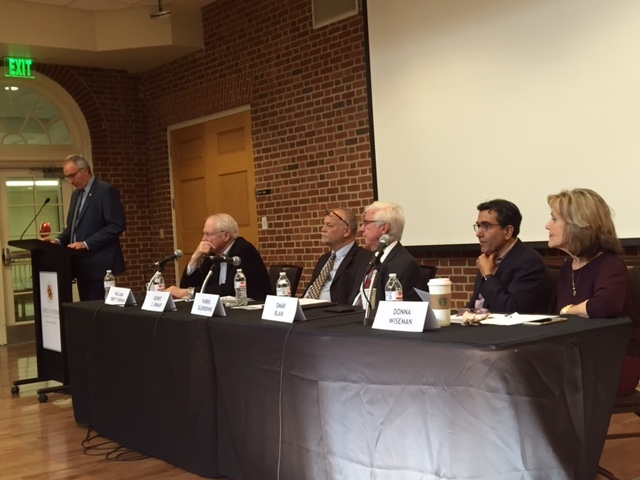 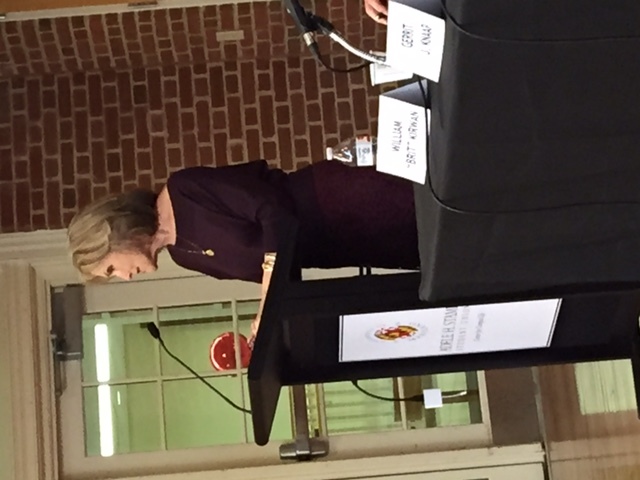 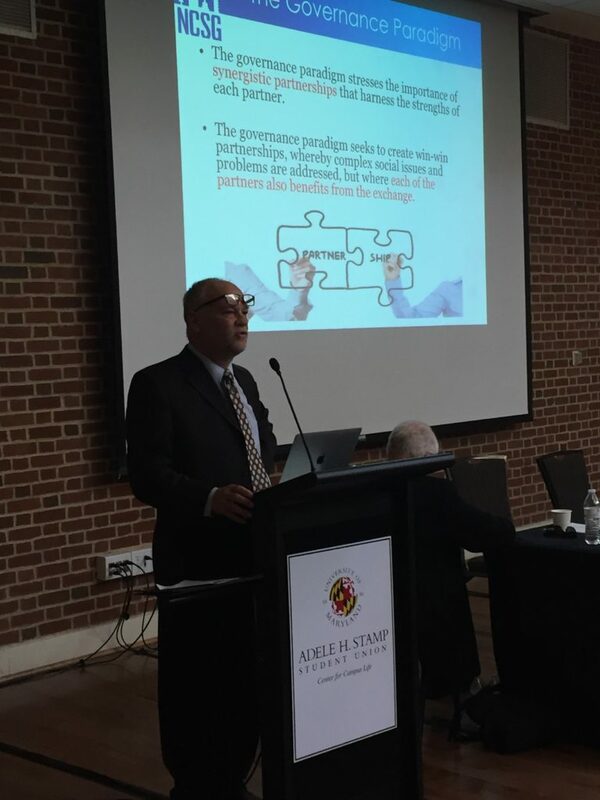 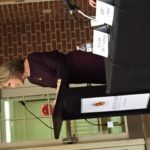 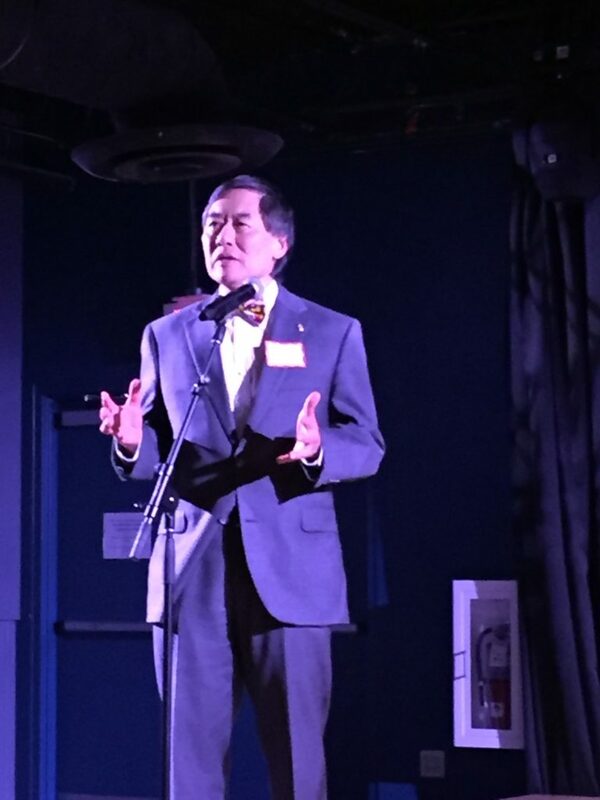 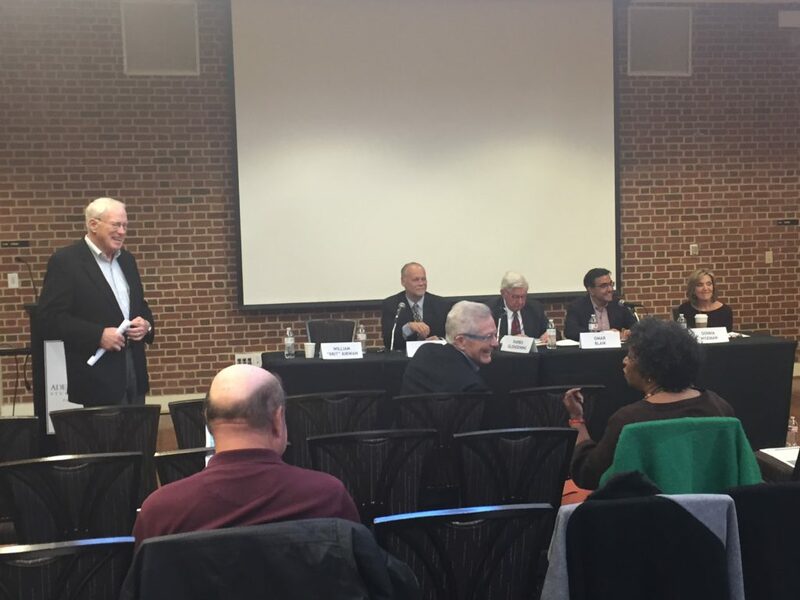 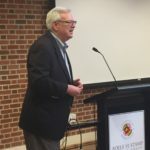 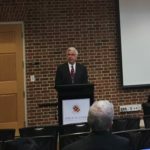 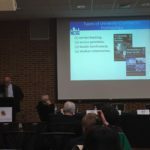 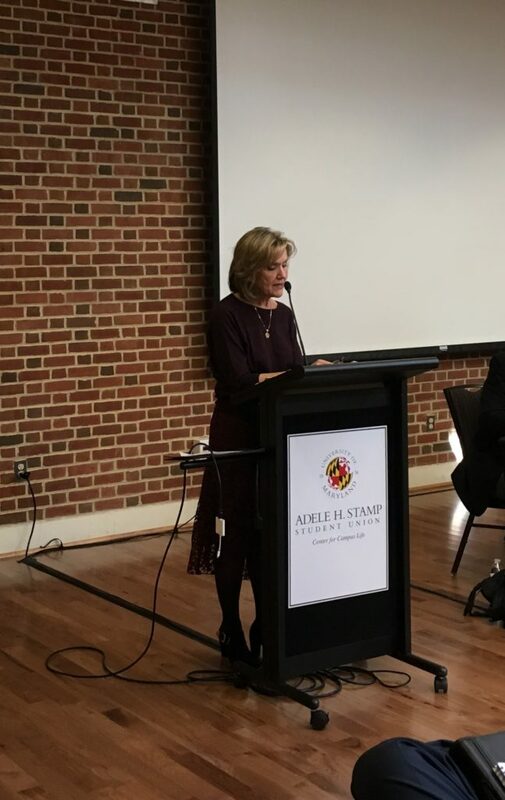 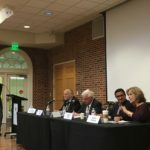 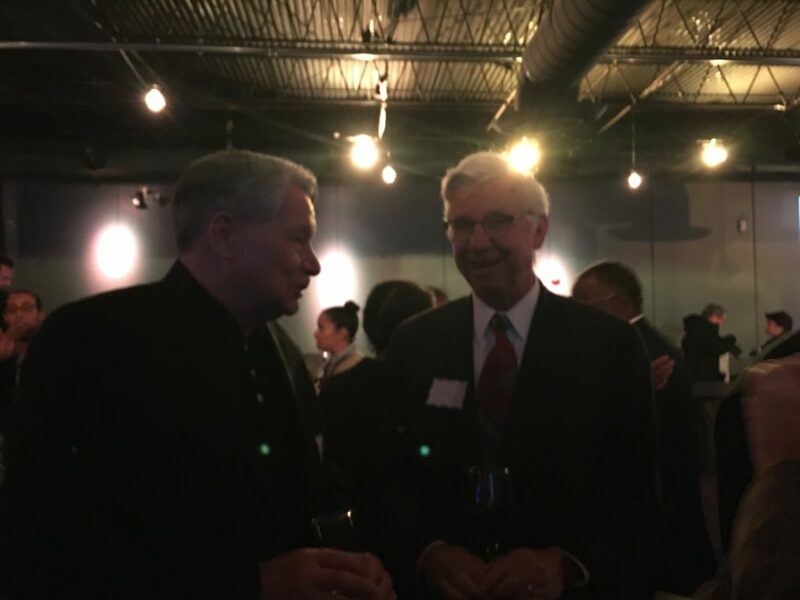 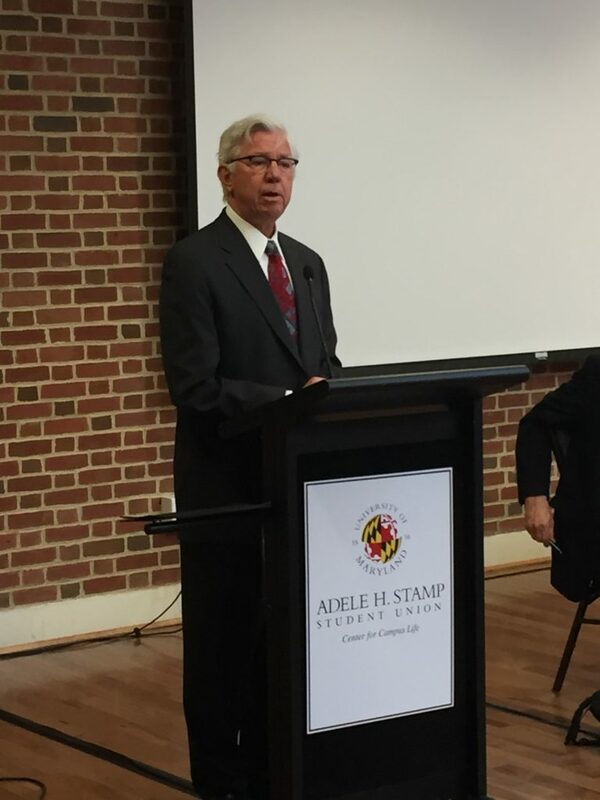 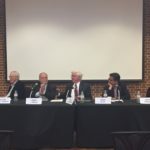 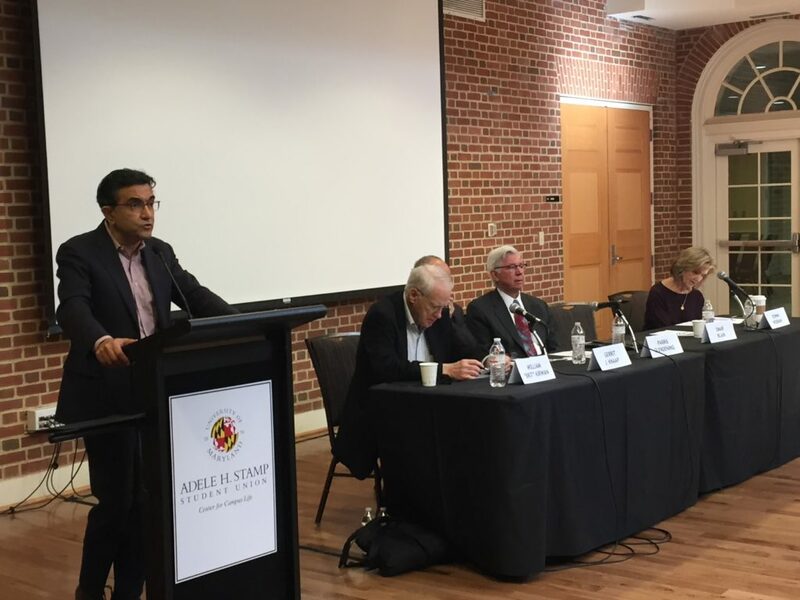 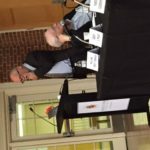 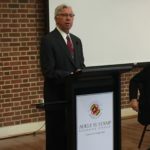 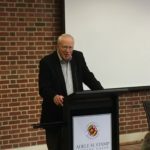 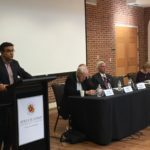 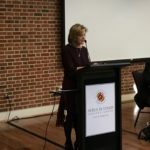 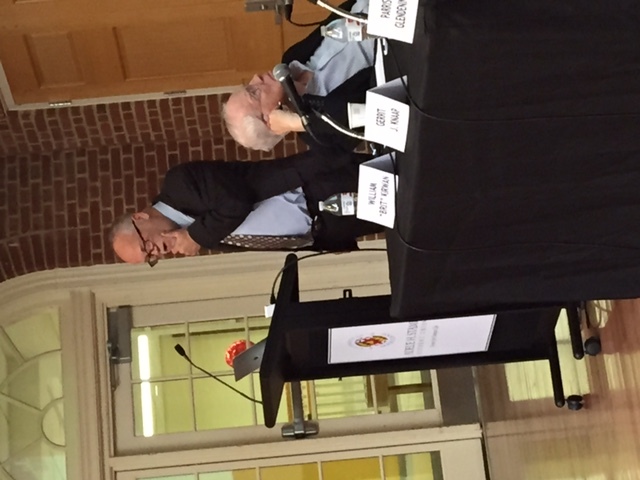 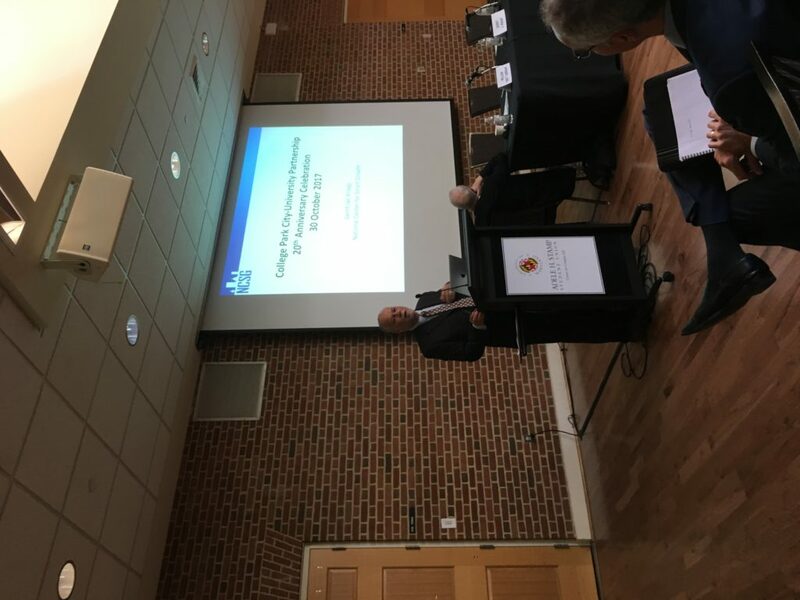 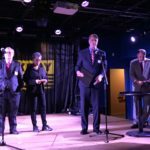 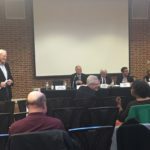 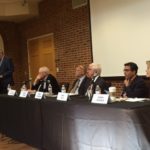 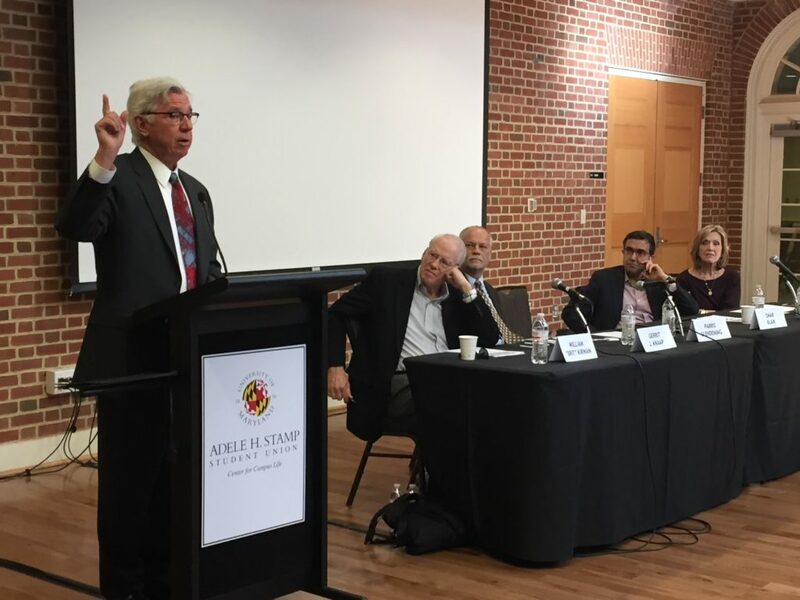 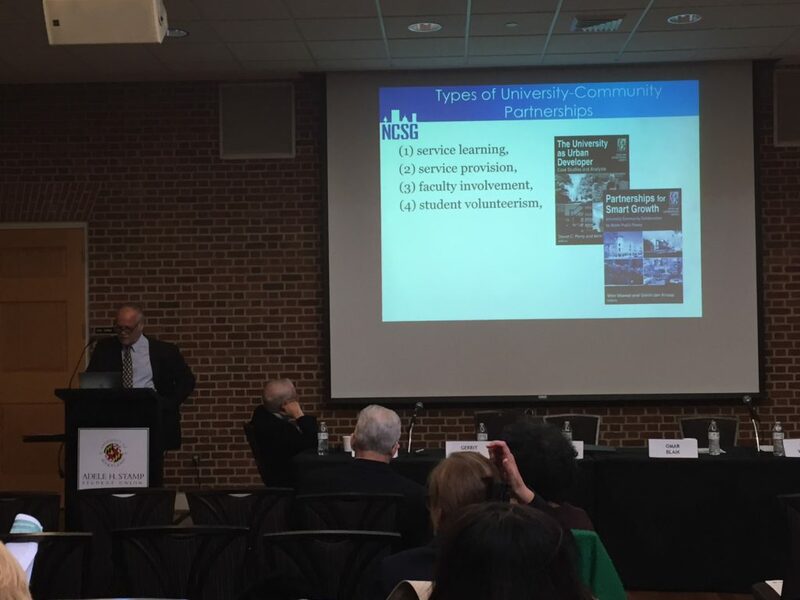 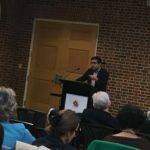 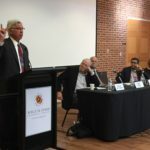 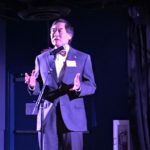 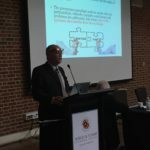 Mayor Wojahn then spoke about the importance of a strong collaboration in College Park between the city and the university, and Dr. Loh echoed that sentiment and said that his commitment to the university district vision was being institutionalized so that this progress could continue well into the future. 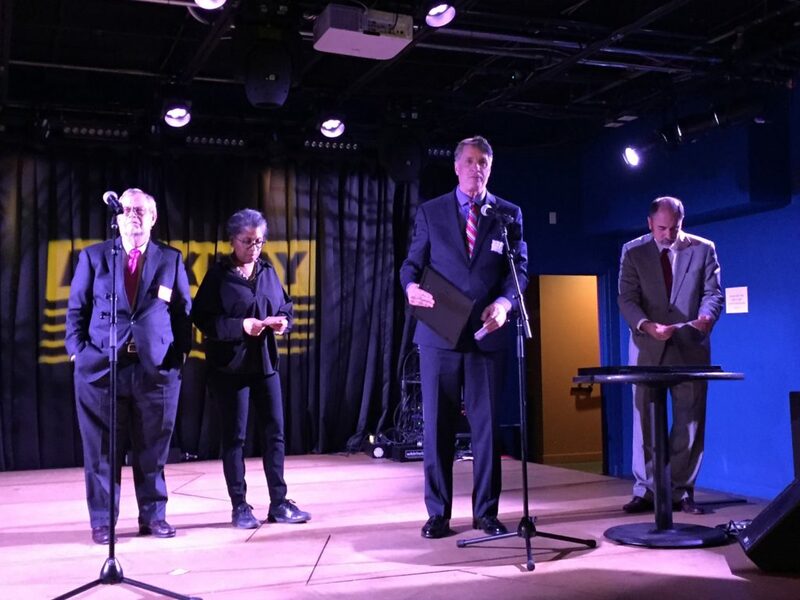 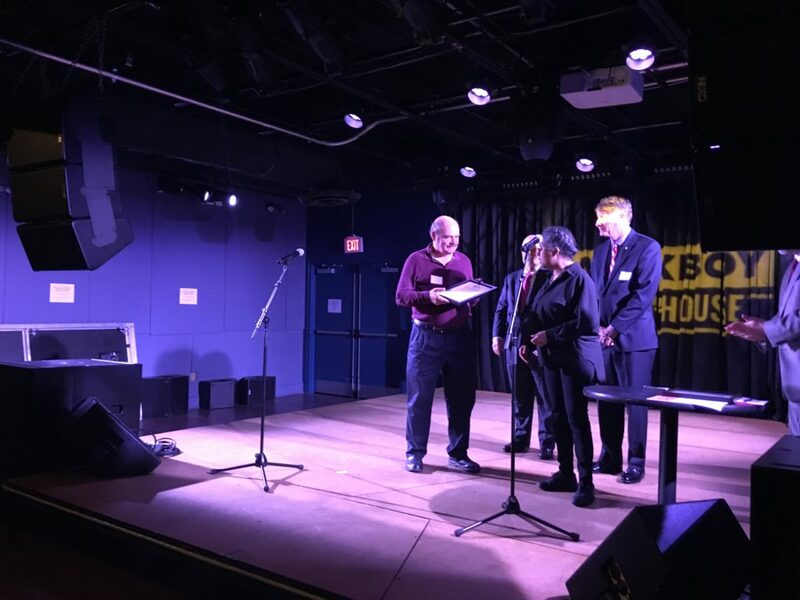 Board members Maxine Gross, Brian Darmody and Richard Wagner then presented framed statements of the University District Vision 2020 to former board members including: Ralph Bennett, Michele LaRocca, Andy Fellows and Bob Catlin, as well as to Frank Brewer, former executive director. 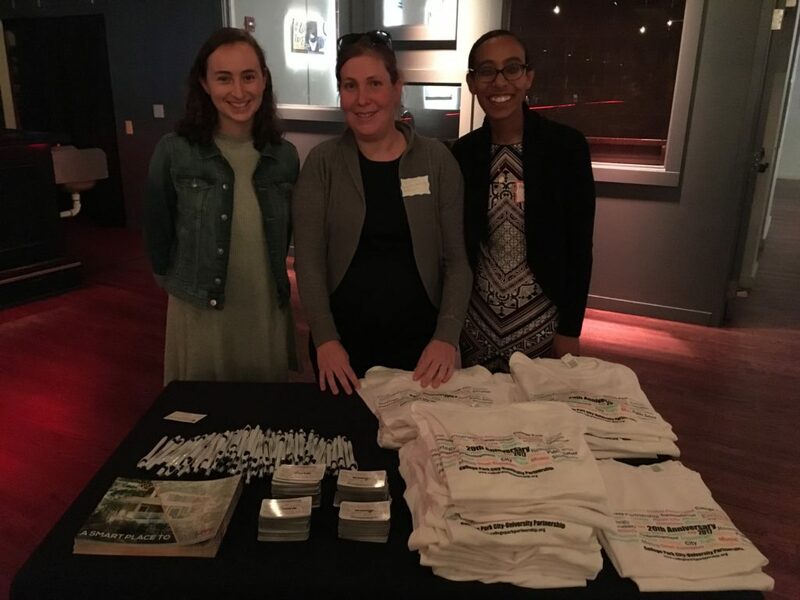 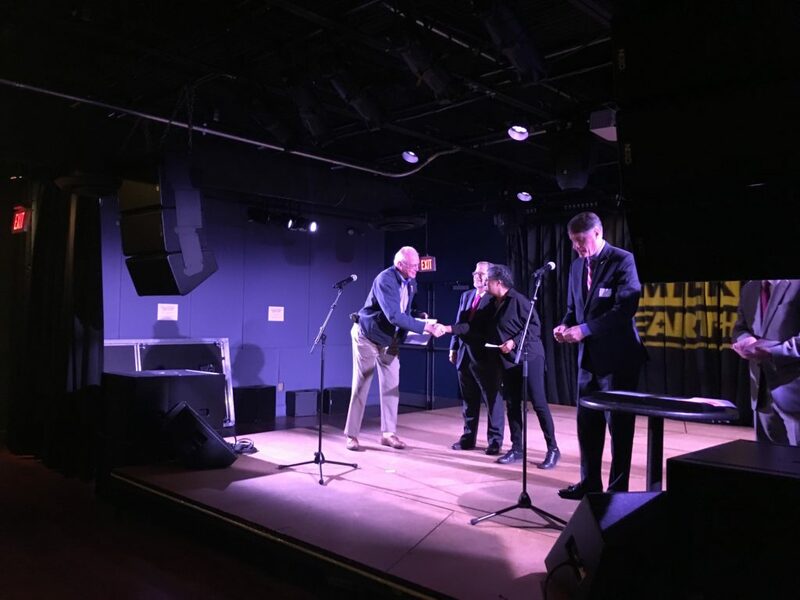 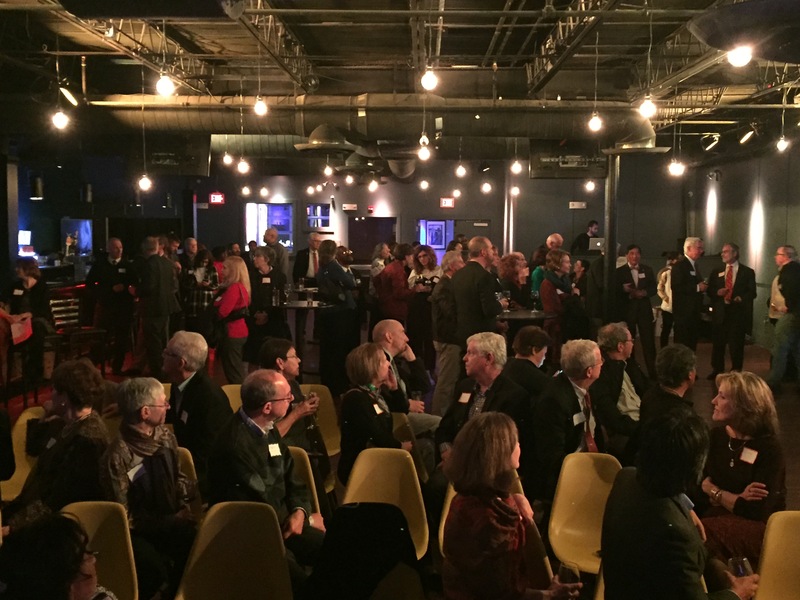 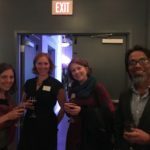 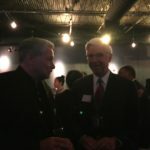 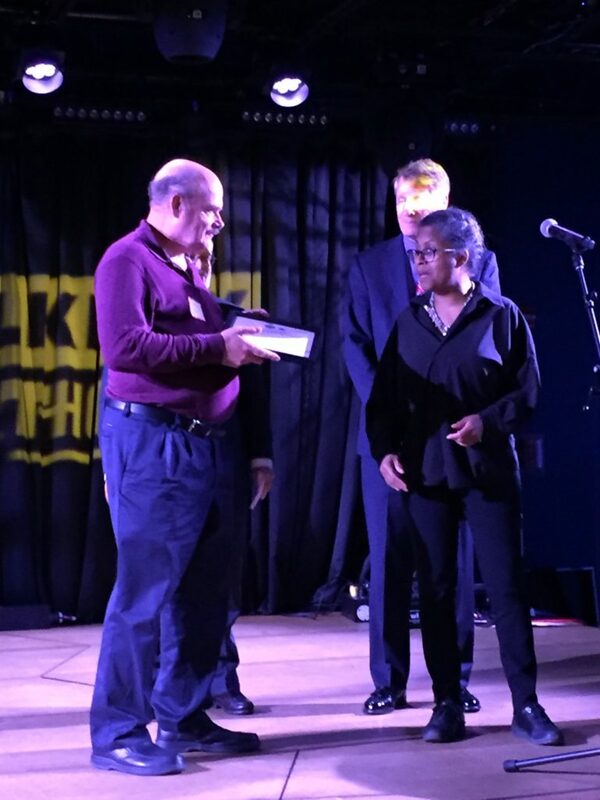 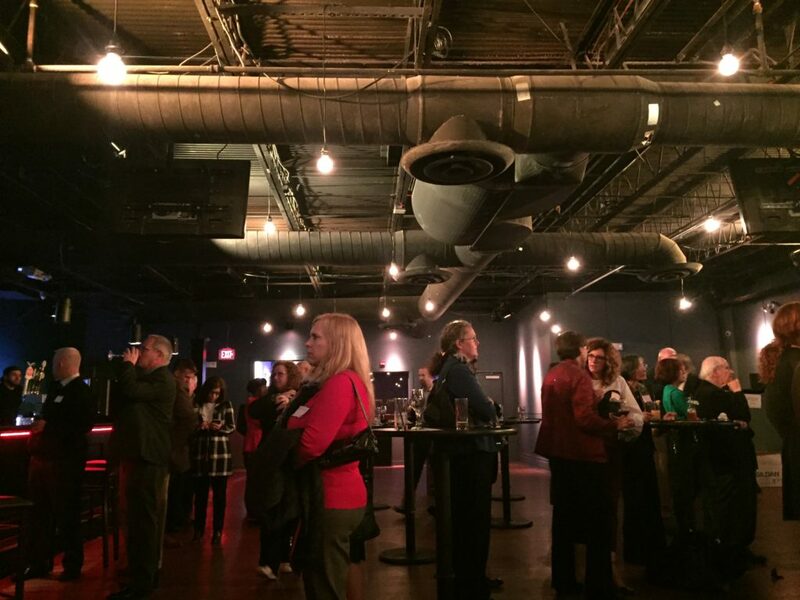 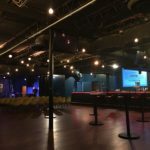 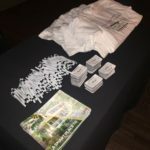 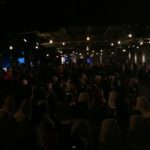 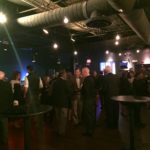 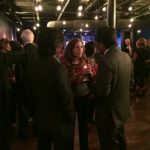 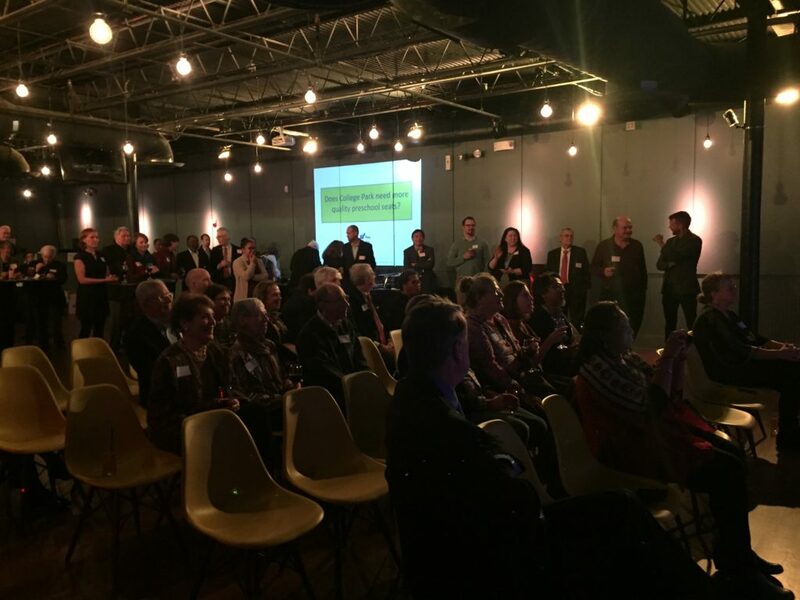 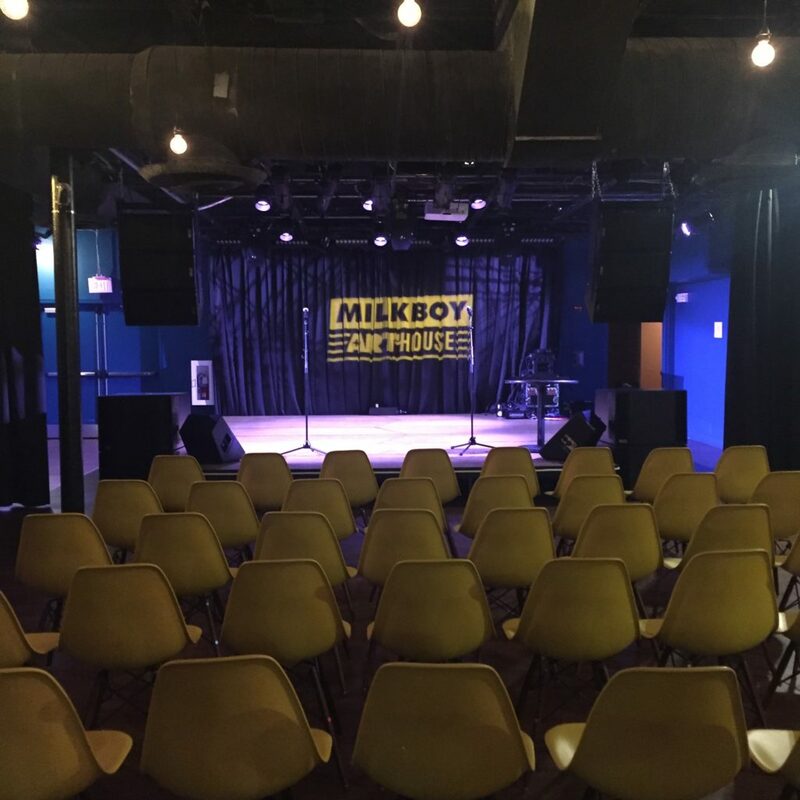 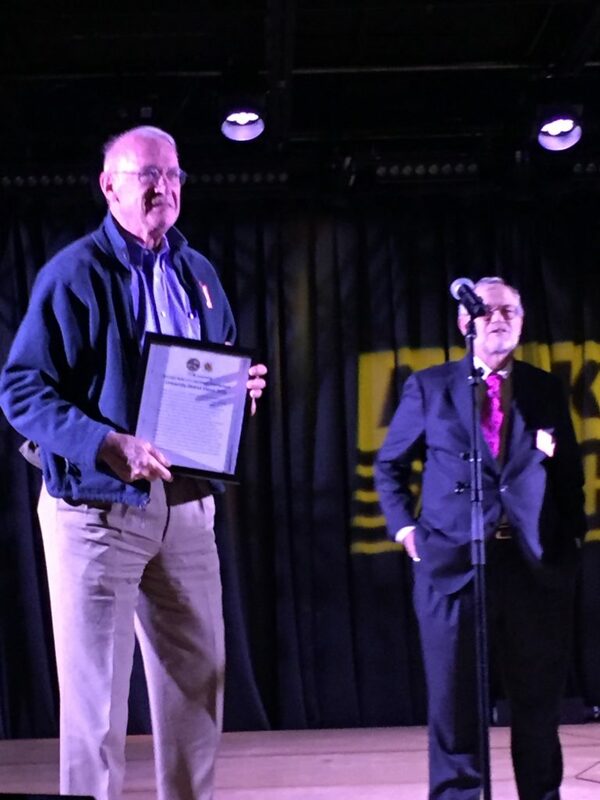 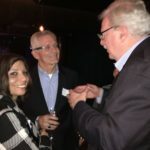 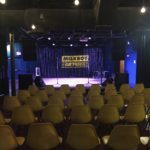 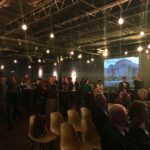 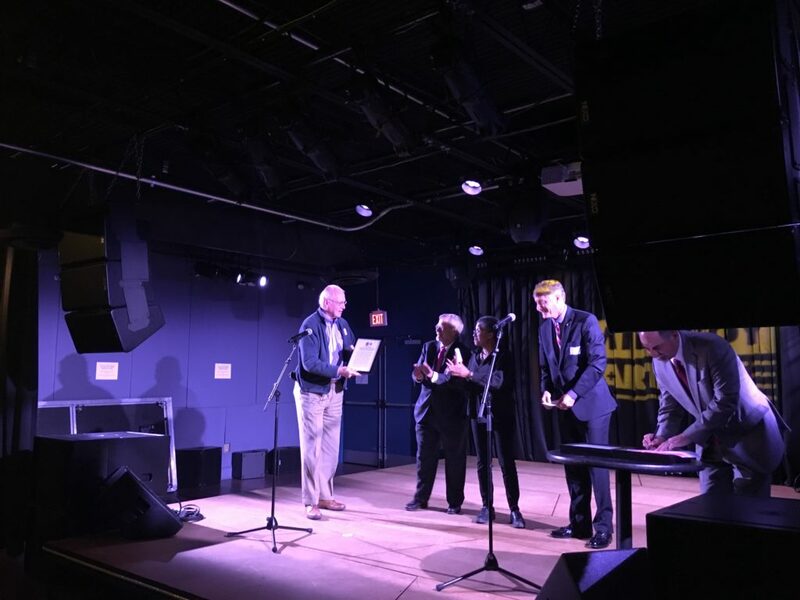 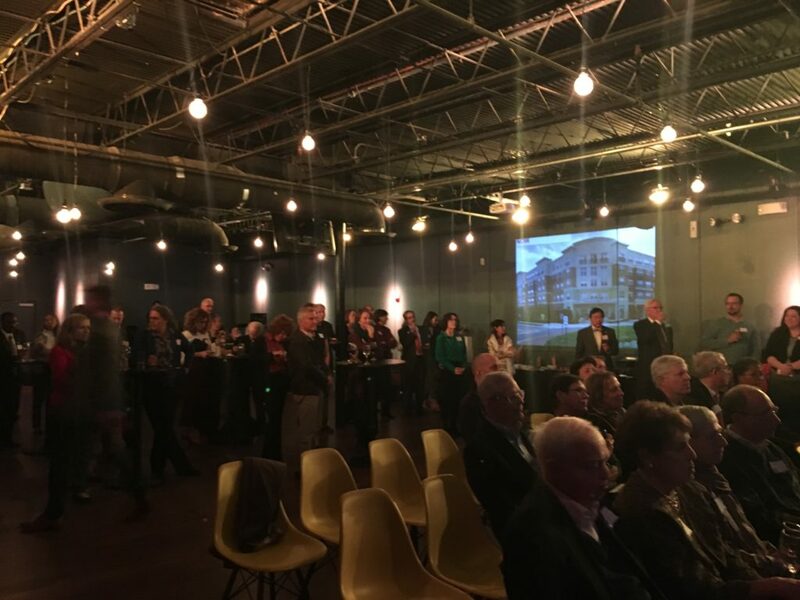 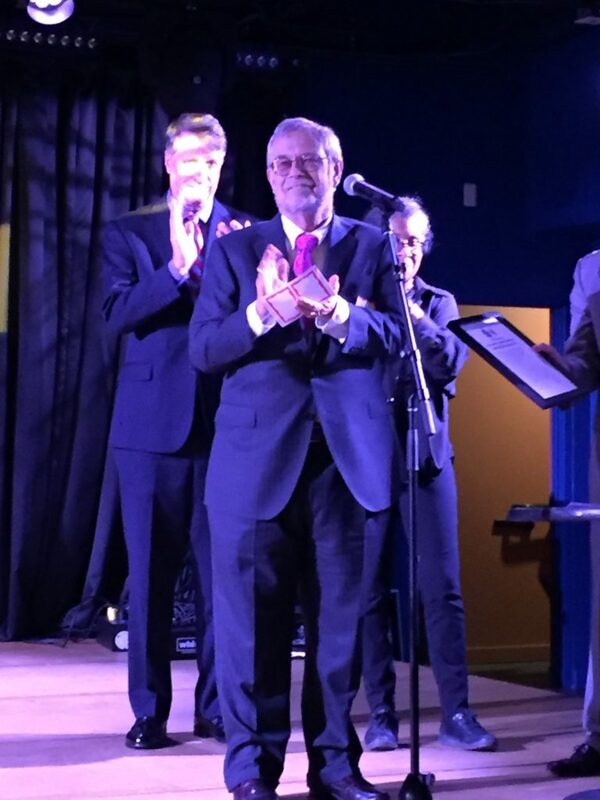 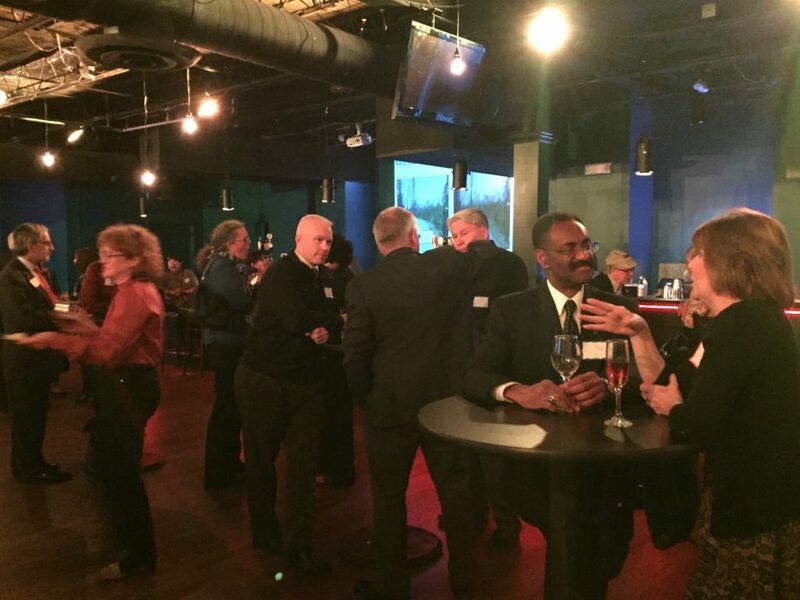 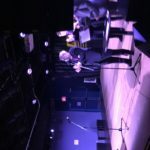 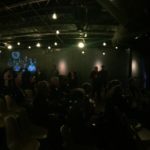 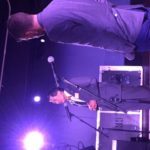 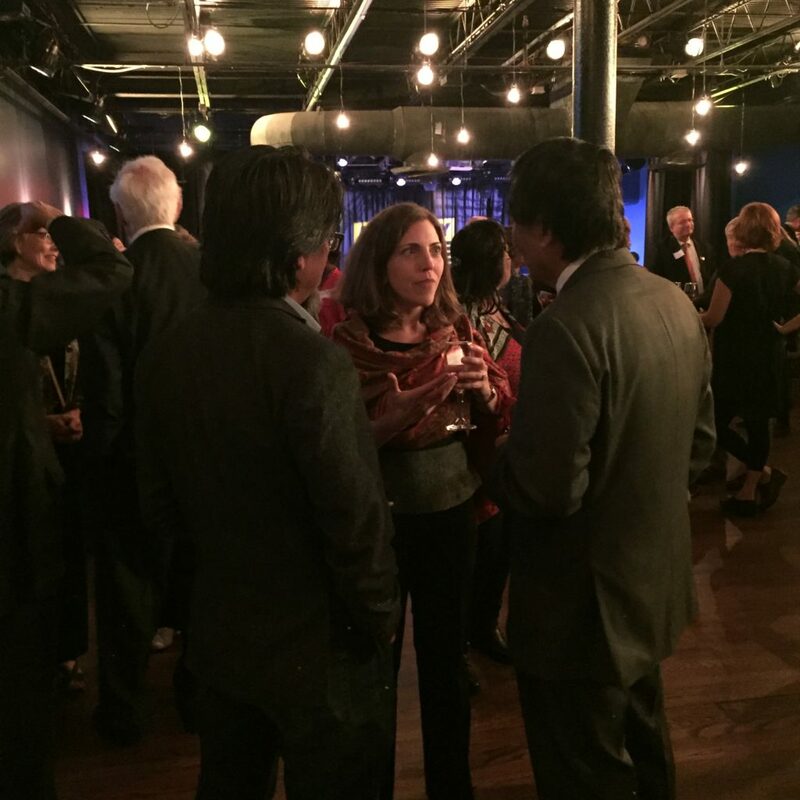 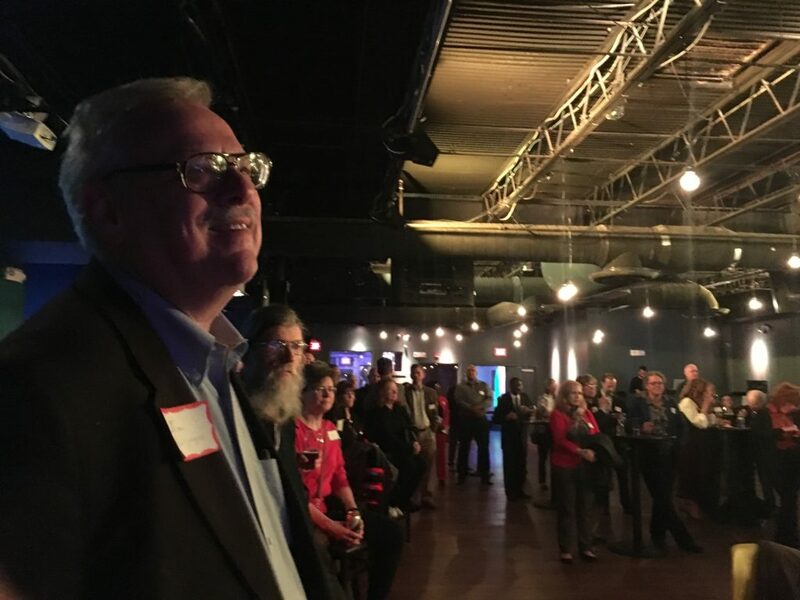 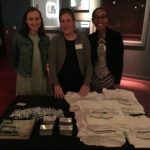 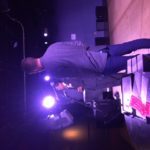 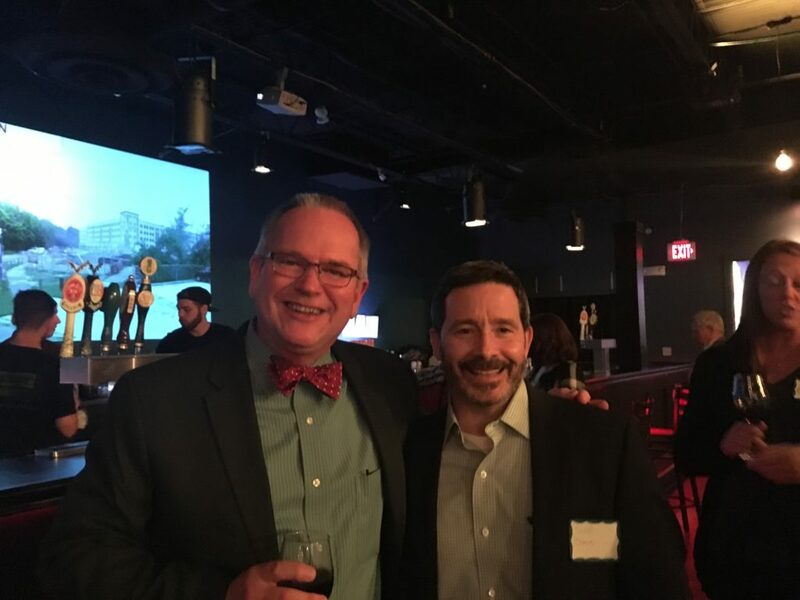 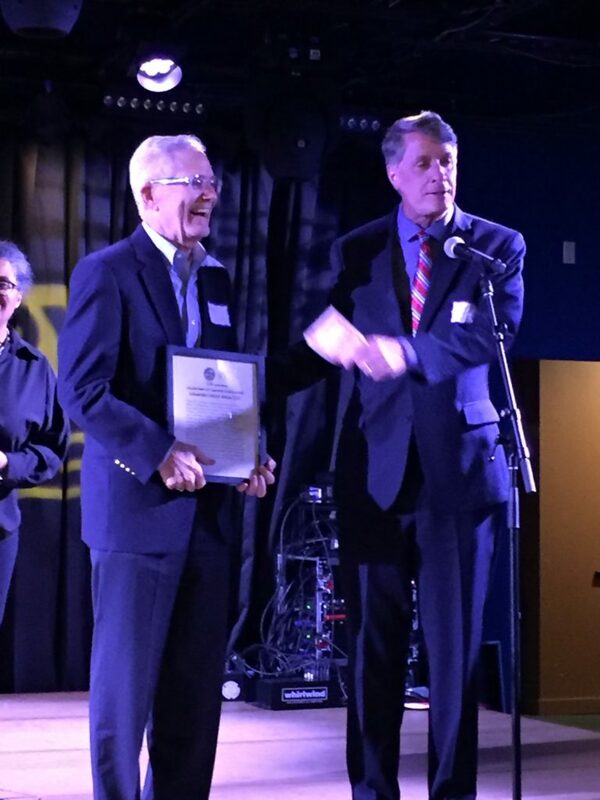 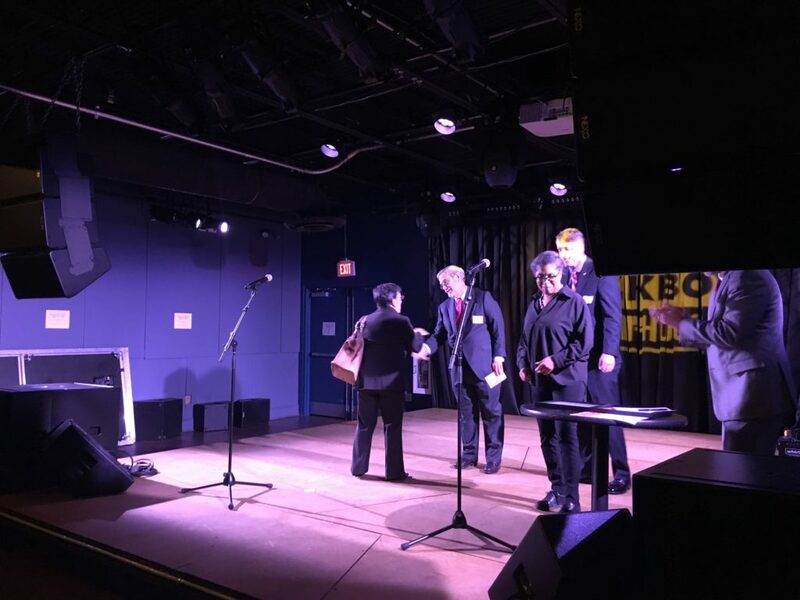 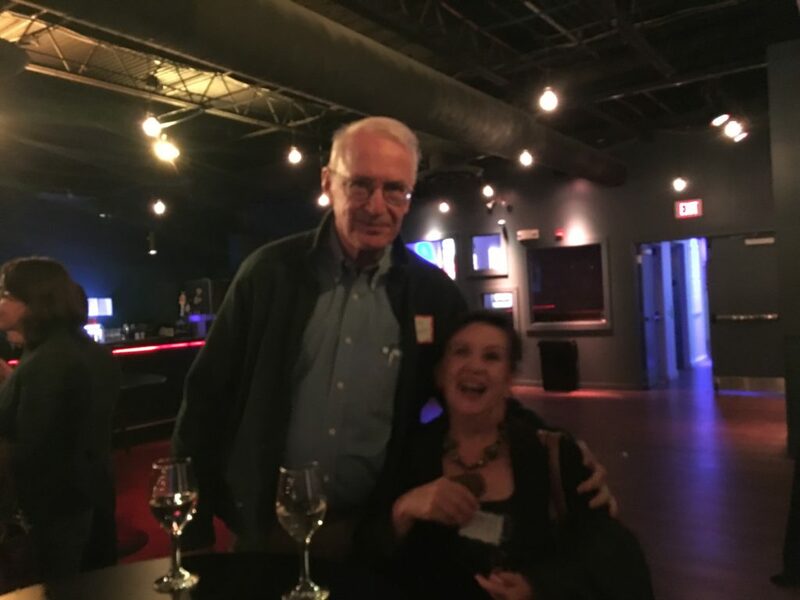 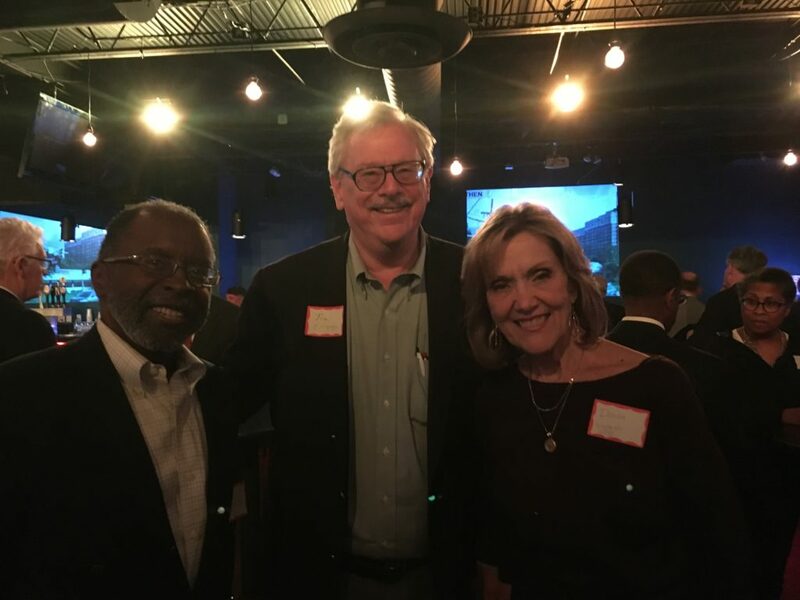 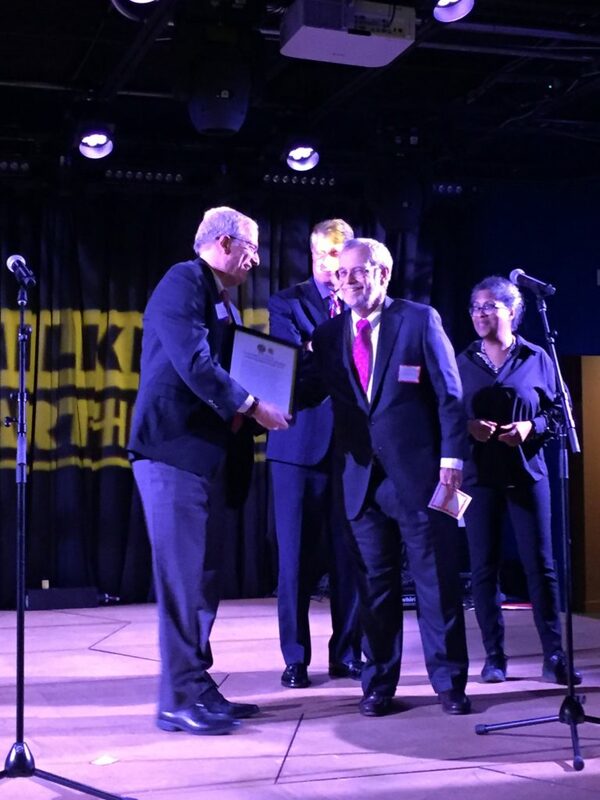 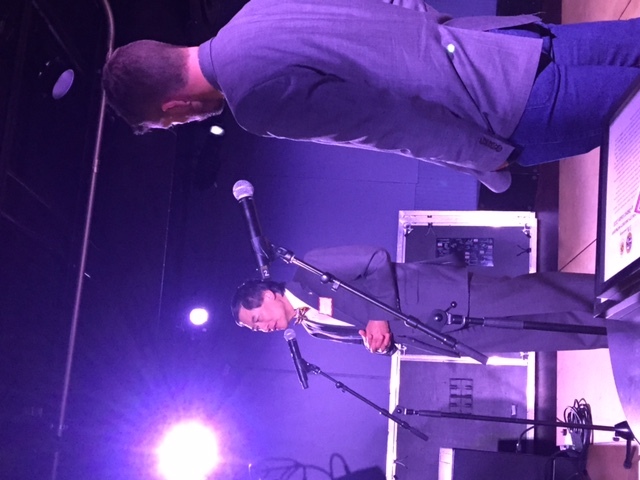 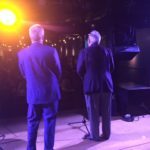 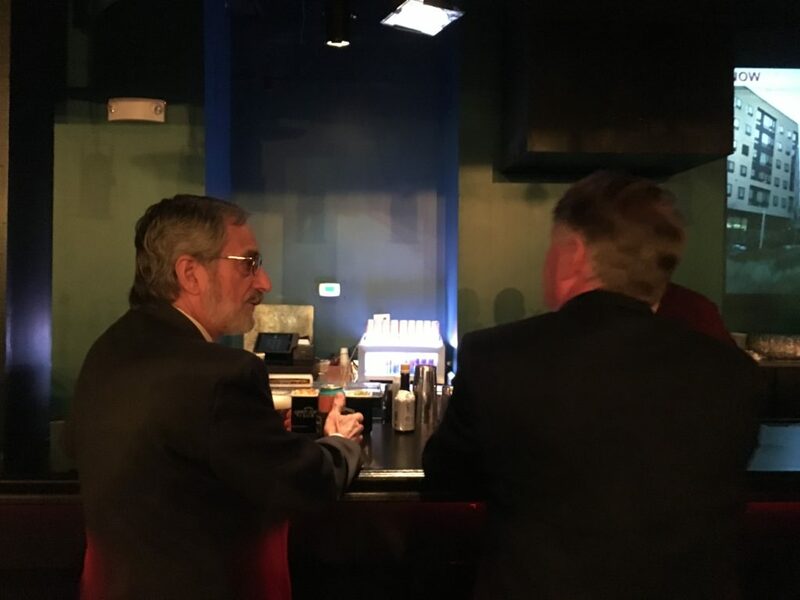 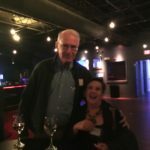 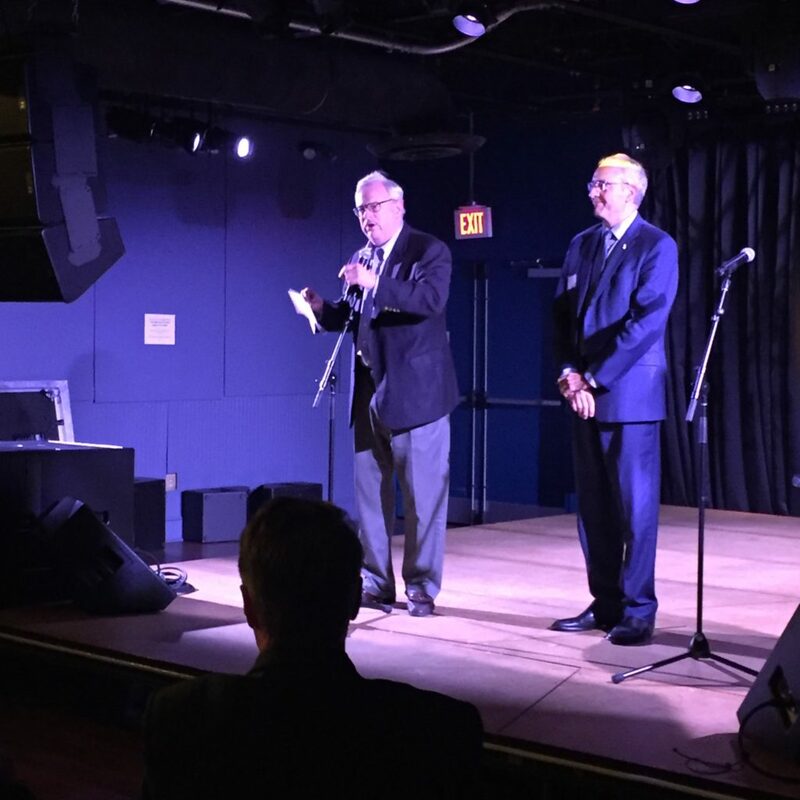 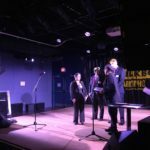 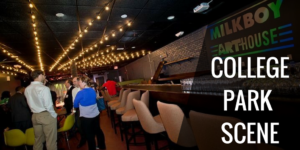 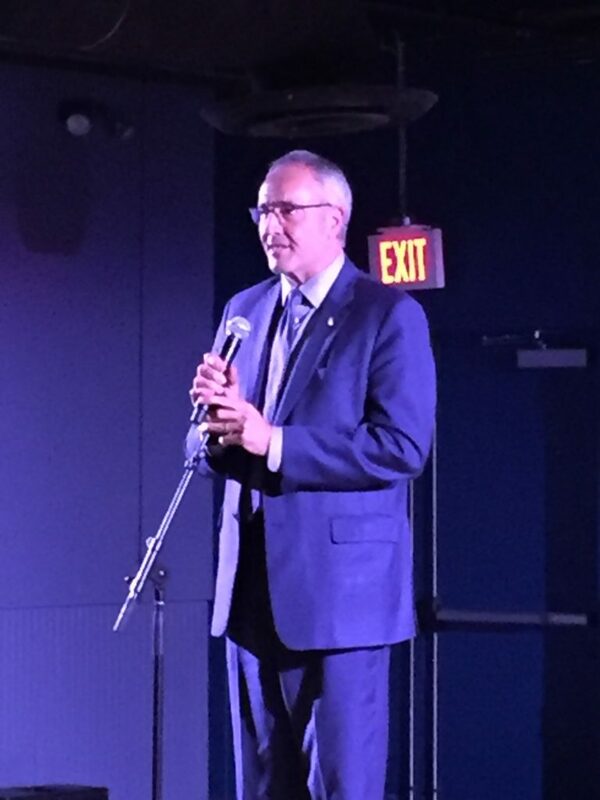 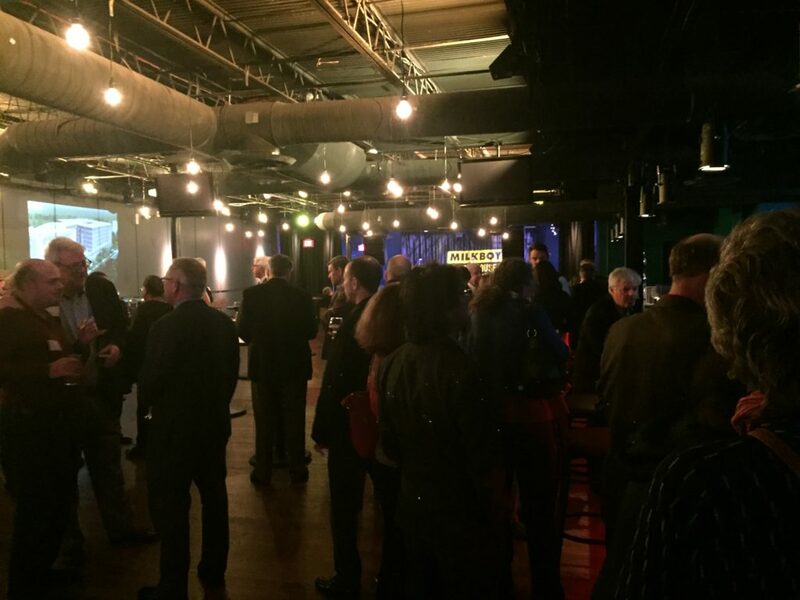 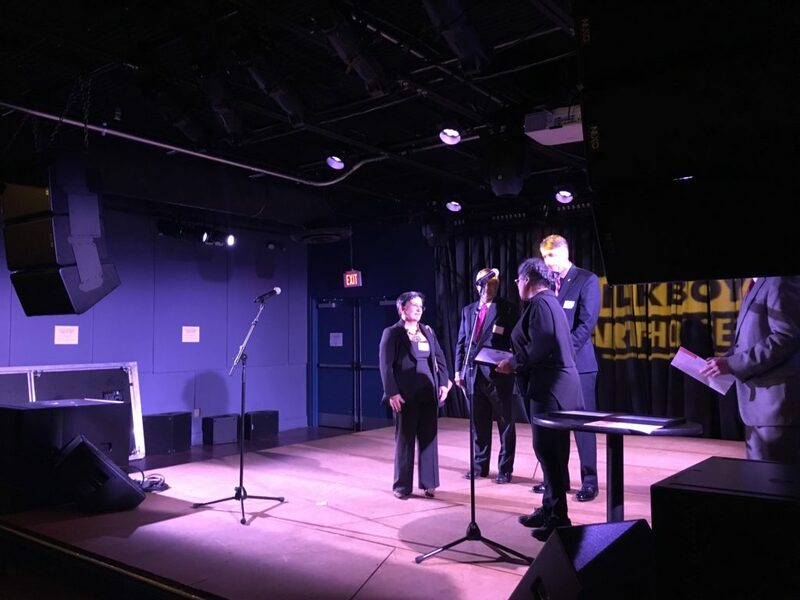 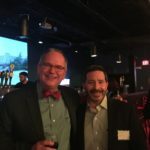 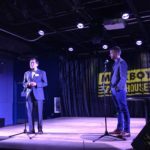 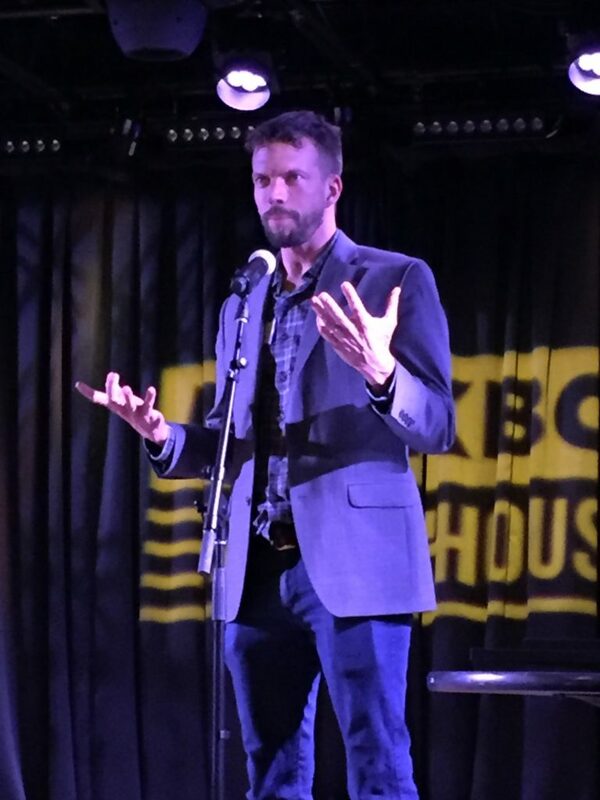 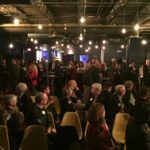 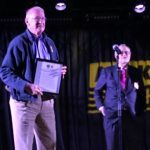 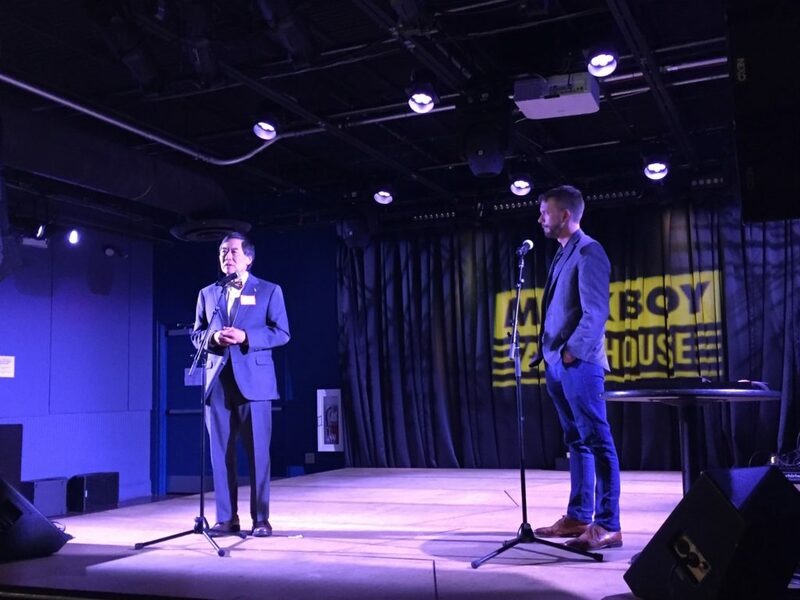 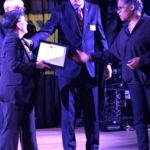 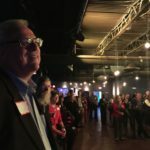 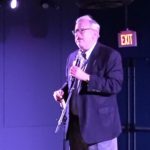 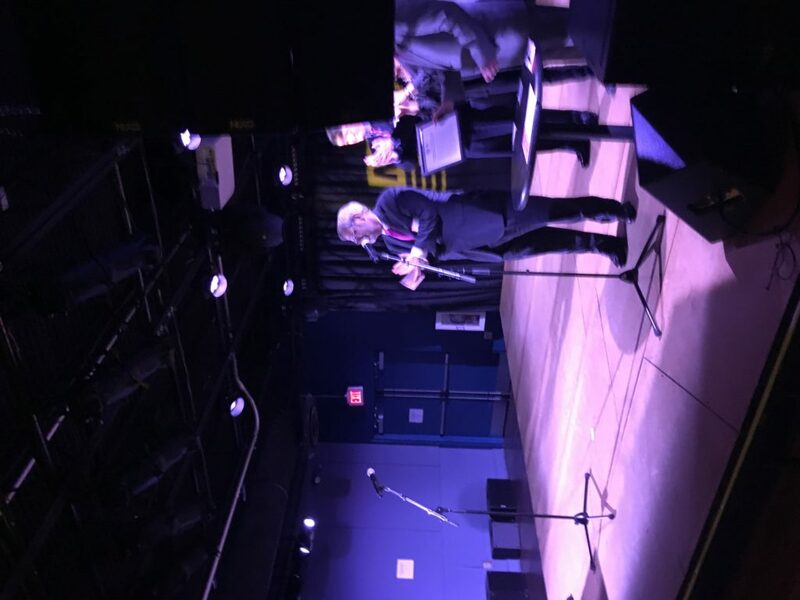 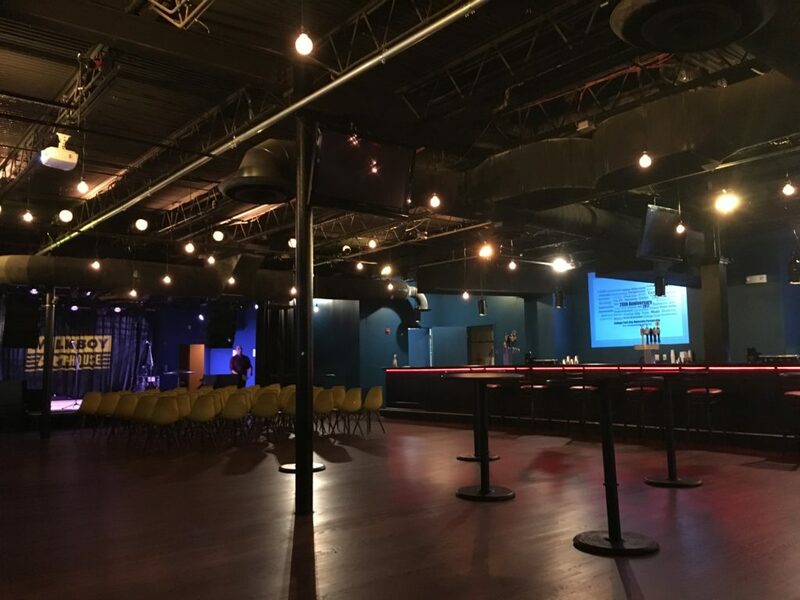 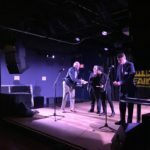 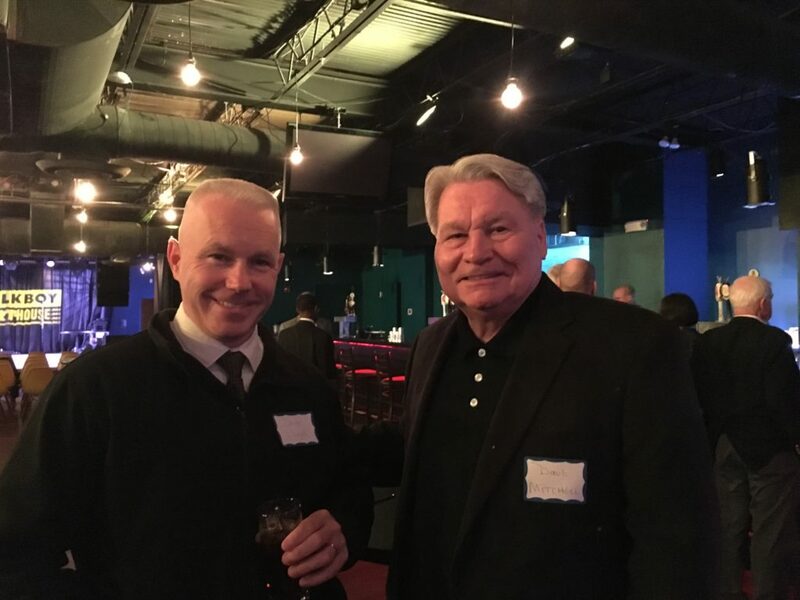 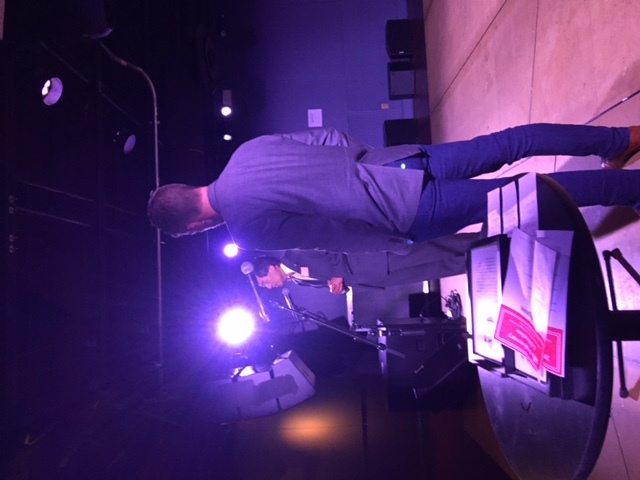 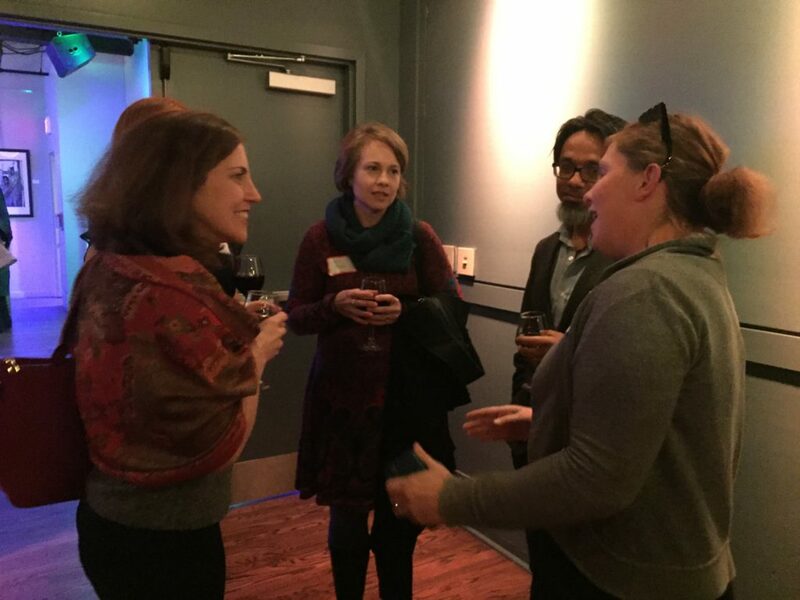 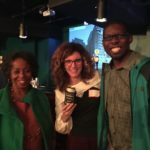 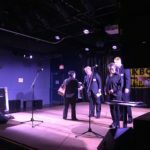 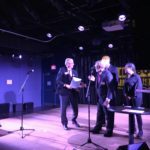 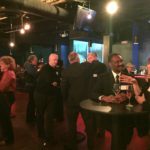 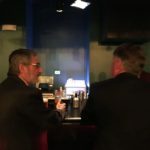 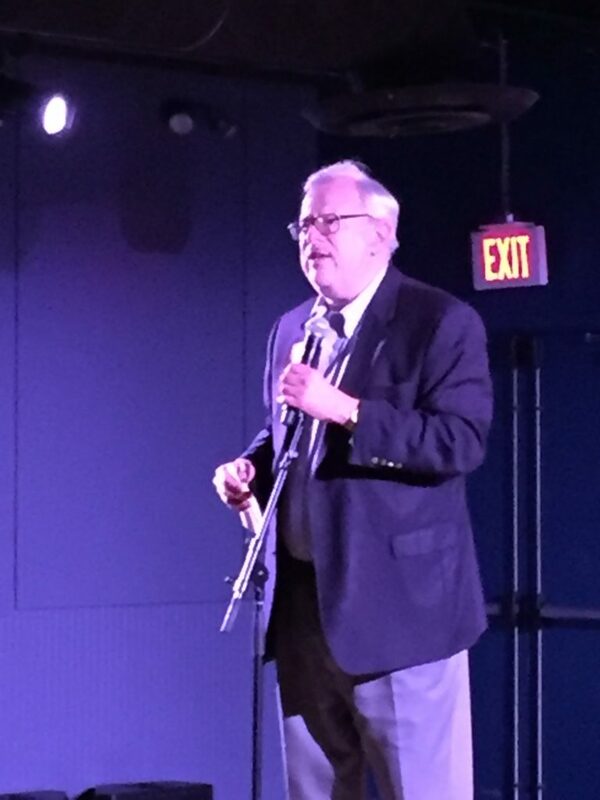 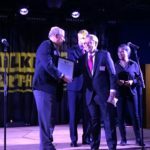 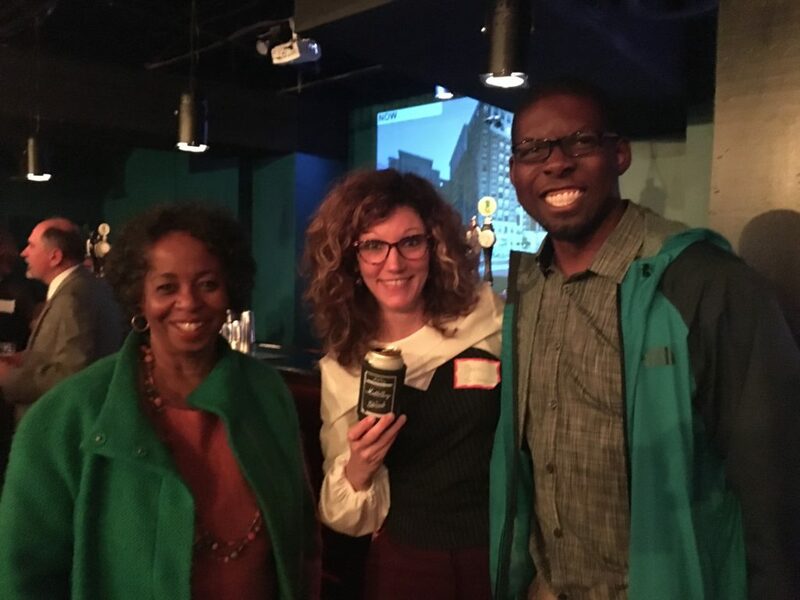 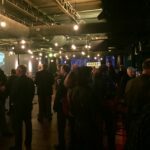 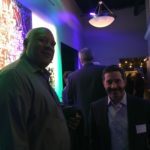 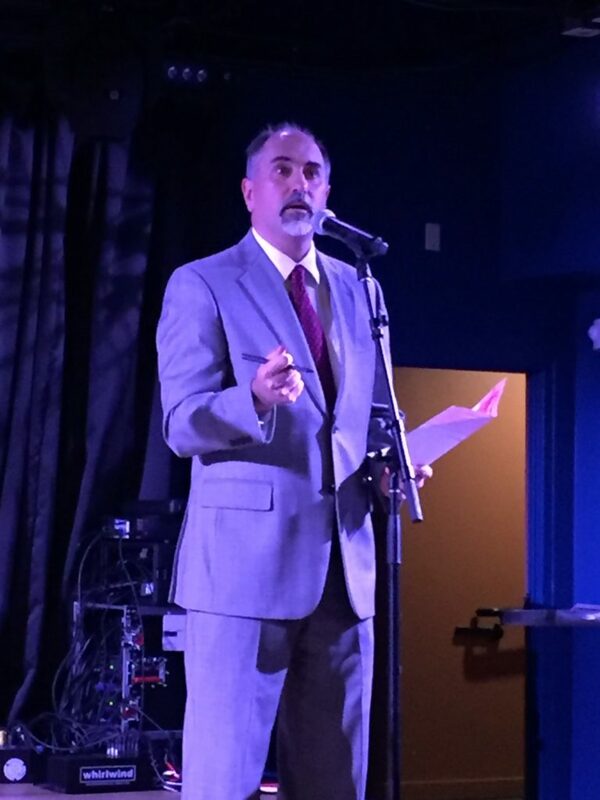 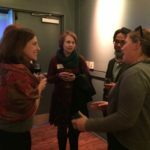 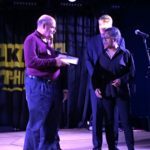 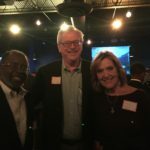 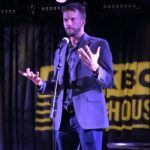 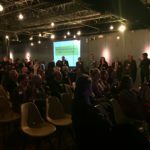 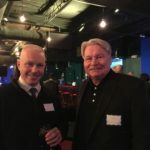 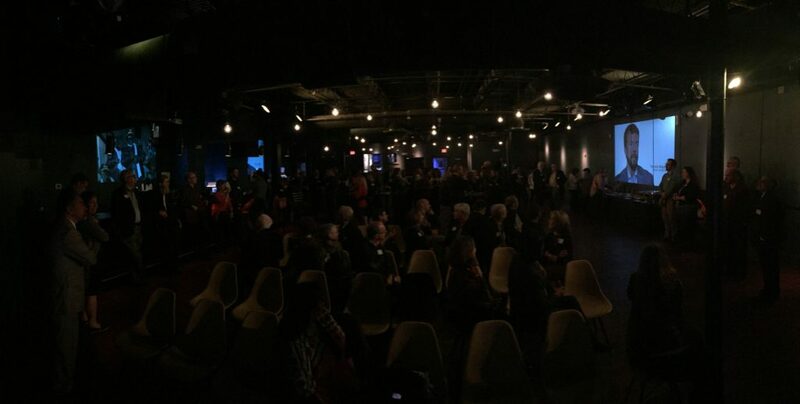 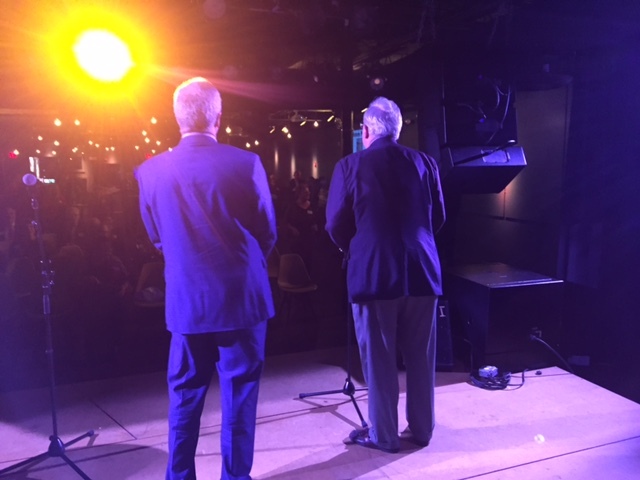 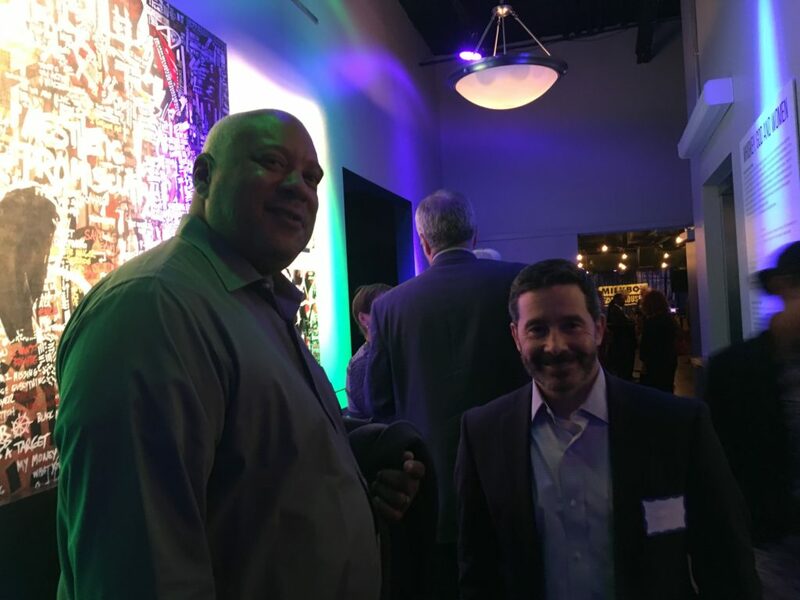 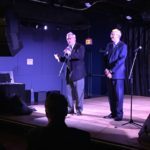 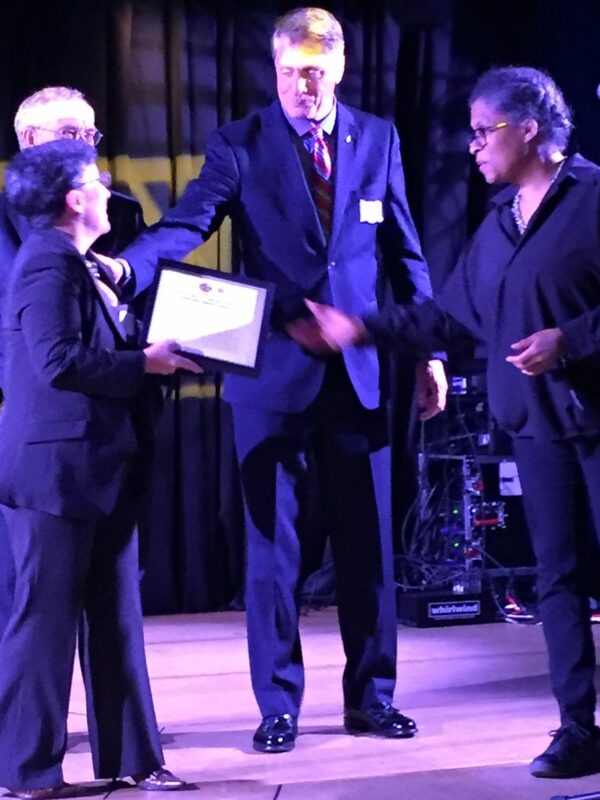 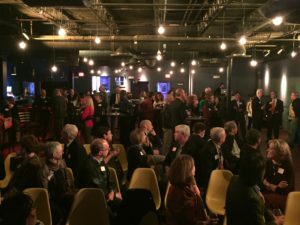 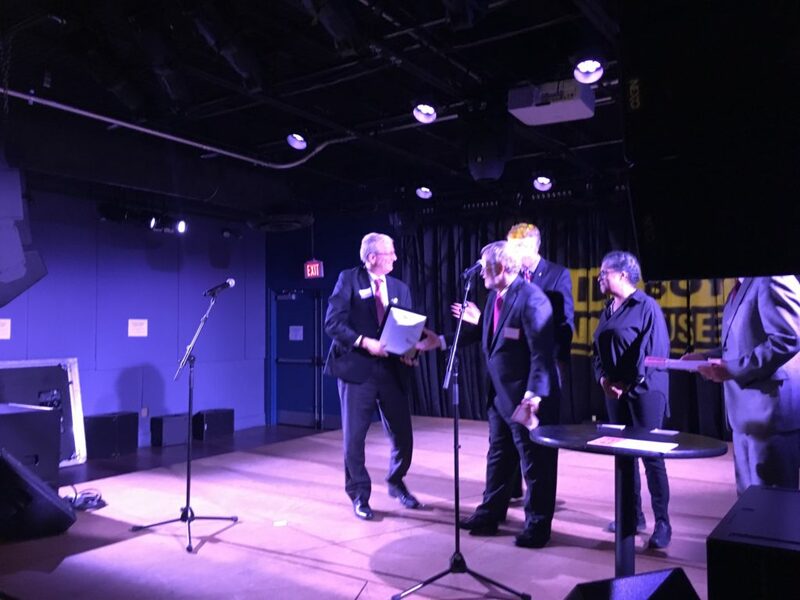 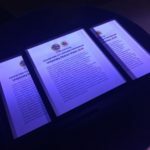 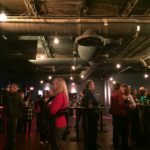 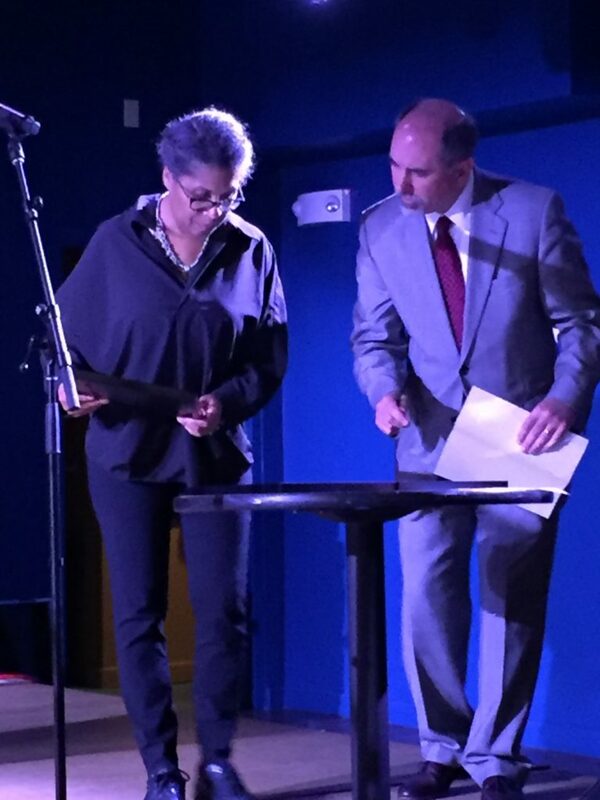 A short video of the Partnership’s work (https://collegeparkpartnership.org/video/) was shown to end the formal program and let attendees enjoy the rest of the evening at MilkBoy ArtHouse, the new restaurant and arts venue in downtown College Park.